Prominent experts will present the latest research results in music and medicine. This is the page where you find the background information about them and the abstracts of their presentations. Please check this page regularly as new speakers and topics are added constantly. 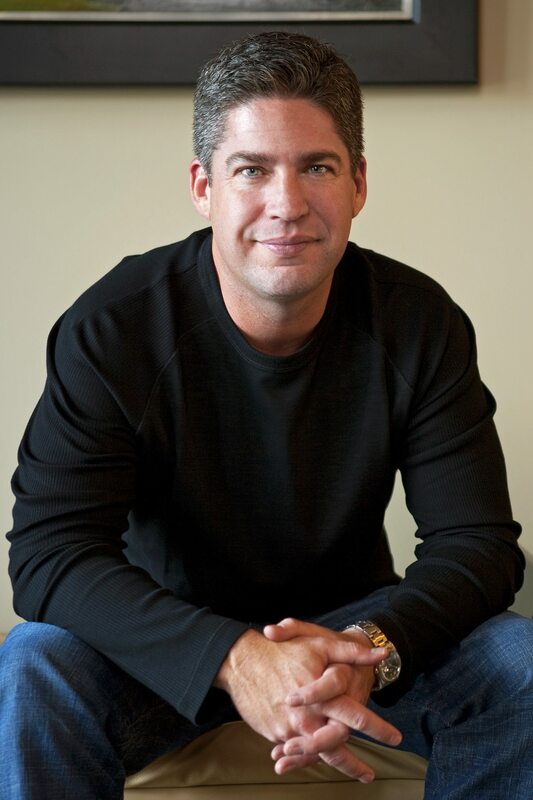 Bio: Alex Doman is founder and CEO of Advanced Brain Technologies, co-founder of Sleep Genius, and bestselling co-author of Healing at the Speed of Sound®. The third generation in a family of pioneers in the field of child and human brain development, Alex has focused his career on sound, music, digital health and technology, and their capacity to improve brain health and performance. His production credits include; co-producer of Music for Healing at the Speed of Sound™, Music for Babies™, and inTime; executive producer, creator, and collaborator on numerous other projects, products, and technologies including; The Listening Program®, BrainBuilder®, Sound Health®, Music for the Mind™, Waves™ multi-sensory audio system, TLP Online, TAVS™ (Test of Auditory and Visual Skills) and the NASA based sleep technology Sleep Genius. Alex has been interviewed for; NBC, CBS, ABC, MSNBC, Today, NPR Marketplace, Wall Street Journal, Self, Women’s Health, Men’s Health, CBS Moneywatch, LiveStrong.com, Health Radio with Dr. Mike Roizen, Dennis Prager, Pia Lindstrom Presents, Blog Talk Radio, ESPN Radio, Hearing Health Magazine, among many others. Doman has was written for publications and journals including Sound and Listening in Healthcare and Therapy, Autism Research and Treatment, Autism Science Digest, SI Focus Magazine, Autism Asperger’s Digest, and Cutting Edge Therapies for Autism. He is also the host of The Listening Program Radio & Podcast with guests including; David Perlmutter MD, Daniel Siegel MD, Michael Merzenich, PhD, and many other thought leaders. Alex resides in Ogden, Utah with his wife and children. Bio: Dr. Cheryl Dileo is a Board-Certified music therapist with a number of years of experience as a clinician and consultant. She currently coordinates the PhD Program in Music Therapy and is the Director of the Arts and Quality of Life Research Center at Temple University. She founded the music therapy program at the University of Evansville and has served on the music therapy faculty at Loyola University. She was named the McAndless Distinguished Scholar and Professor in the Humanities for the 2002-3 academic year at Eastern Michigan University. She is currently on the Honorary Faculty at the University of Melbourne Australia, and a member of the PhD Program Advisory Board at Aalborg University, Denmark. 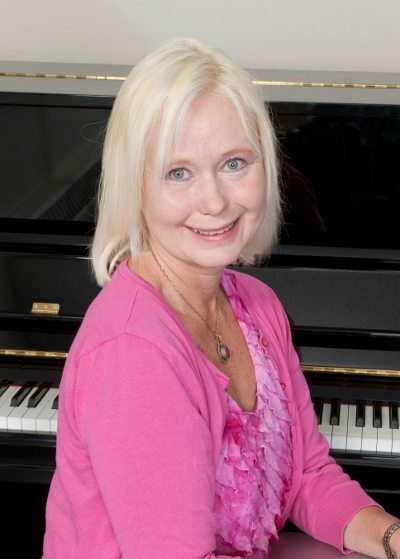 She serves on the Advisory Board for the Nordic Journal of Music therapy, and has served on the Editorial Board of the Journal of Music Therapy, as Editorial Consultant for Music Therapy: The Journal of the American Association for Music Therapy, the International Journal of Arts in Psychotherapy and the Journal of Music Therapy and MusicMedicine (Germany).Dr. Dileo serves as a grant consultant for the National Institute of Health, the National Center for Complementary and Alternative Medicine, and the National Cancer Institute. She has held a variety of leadership positions in the National Association for Music Therapy, including President, Vice-President, and Council Coordinator. She played a leading role in the development of the NAMT Code of Ethics, and has Co-Chaired AMTA’s Ethics Board. The American Association for Music therapy has honored her with the Lifetime Achievement Award, the Award of Merit, as well as the Distinguished Research/Publication Award. She was the recipient of the 2006 Temple University Faculty Research Award. She has also served in a variety of leadership positions for the World Federation of Music Therapy, including, President, Past-President, Chair of the Commission on Ethics and Business Manager. She developed the WFMT Guidelines for Ethics and Research. She has given more than 200 lectures and workshops in this country and abroad, having conducted lecture tours on 5 continents. She has authored/edited co-edited 15 books and over 100 book chapters and articles. 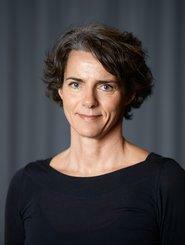 Currently, she is a co-author of 7 Cochrane systematic reviews on medical music therapy for the Cochrane Library. She has received grant funding from a variety of sources, including the State of PA Formula Fund and the Barra Foundation. Her research interests include: quantitative analyses and meta-analyses of the effects of music therapy in medicine, the development and testing of new music therapy interventions in medicine, particularly involving songs, entrainment, and improvised music; multicultural issues in music therapy practice; and spirituality, meaning and the use of narratives in music therapy practice. BIO: Suzanne B. Hanser, Ed.D., MT-BC is founding chair of the Music Therapy Department at Berklee College of Music. Dr. Hanser is Past President of both the World Federation of Music Therapy and the National Association for Music Therapy. She founded the music therapy program at the Leonard P. Zakim Center for Integrated Therapies at Dana-Farber Cancer Institute, and is also a Resident Scholar at the Women’s Studies Research Center at Brandeis University. Dr. Hanser is Secretary of IAMM. She received a National Research Service Award from the National Institute on Aging and was a Senior Postdoctoral Fellow in Psychiatry at Stanford University School of Medicine. Dr. Hanser is the author of _The New Music Therapist’s Handbook_, and co-author of _Manage Your Stress and Pain_, book and CD, with Dr. Susan Mandel_._ In 2006 she was named by the Boston Globe as one of eleven Bostonians Changing the World. In 2009 she was awarded the Sage Publications Prize for her article, “From ancient to integrative medicine: Models for music therapy.” In 2011 she received the Lifetime Achievement Award from the American Music Therapy Association. Her latest book is _Integrative Health through Music Therapy: Accompanying the Journey from Illness to Health. Create and implement goal specific and evidenced based music therapy interventions which coincided with the patients’ (and their family’s) physical, motional/behavioral, psychosocial, eduacational, and spiritual needs, such as ability to cope with chronic/acute illness, anxiety/fear of hospitalization/medical procedures, and pain management. Facilitated goal oriented individualized music therapy interventions with patients on the TCC, StarShine palliative care and hospice. BIO:Vera Brandes is Director of the Research Program for Music-Medicine at Paracelsus Medical University, Salzburg, Austria and certified music therapist registered with the Federal Ministry of Health, Austria. She is Vice President of IAMM (International Association for Music and Medicine), New York, USA, board member of I.M.A.R.A.A. (International Music and Arts Research Association Austria), program council to the Human Health Project and member of the scientific advisory board of the Fritz Albert Popp Institute. Vera Brandes was one of the co-founders of the Science Network Man and Music at the University Mozarteum, Salzburg and vice-president of the non profit organization saludArt. She was international program director of the Mozart&Science conferences 2006, 2008 and 2010. Since 1995, she has been committed to the integration of music in medical therapy and prevention. Since 1999 she organized advanced trainings for medical doctors and therapists in Neurodevelopmental Auditory Training. From 2001 to 2003, she lectured on culture & media at the University for Applied Sciences in Salzburg, Austria. She co-initiated and co-organized the congress “in:fusion – New Qualities in Healthcare” in 2004 before she assumed her current position at the Paracelsus Medical University. She is also CSO of SANOSON in Vienna, Austria and developed sanumeda, a patient dedicated hospital radio channel (in close cooperation with Tom Doch) and I-MAT© (Individualized Music-focussed Audio Therapies) for the treatment of psychosomatic disorders. She has published numerous articles, and presents at international conferences. Before she began her career in science, Brandes was an award-winning music producer and record company owner. Between 1974 and 1999 she released more than 350 CDs featuring a broad spectrum of international artists and promoted a multitude of concerts, tours and festivals. In 1994, she received the award for the Most Creative and Innovative Company in music and media in Germany from the Ministry of Economics. Recent book publications: “Music that works: Contributions of Biology, Neurophysiology, Psychology, Sociology, Medicine and Musicology” (English) (Co-Editor: Roland Haas; Springer Vienna, New York, 2009) “Life in Rhythm” (“Leben im Rhythmus”), (only available in German), (Co-Author Christian Salvesen; O.W. Barth Verlag, Munich, 2006). BIO: Dr. Clements-Cortés is Assistant Professor, University of Toronto, Music and Health Research Collaboratory; Music Therapy Instructor & Graduate Supervisor, Wilfrid Laurier University; and Senior Music Therapist/Practice Advisor, Baycrest Centre, Toronto. She is a Registered Psychotherapist, and holds FAMI & NMT credentials. Clements-Cortés is President of the World Federation of Music Therapy, Managing Editor of the Journal of Music and Medicine, and Board Member for the Room 217 Foundation. She has served as a President and Internship Chair for the Canadian Association for Music Therapy (CAMT); Conference Chair, CAMT 2014; and Conference Co-chair for IAMM Canada 2014. She has presented at conferences throughout the world including: the World Federation of Music Therapy, European Music Therapy Congress, American Music Therapy Association, Canadian Association for Music Therapy, Ontario Gerontology Association Conference, and the International Congress on Palliative Care. Clements-Cortés’ scholarly writings have been published in the Journal of Music Therapy, Music Therapy Perspectives, Music and Medicine, Canadian Journal of Music Therapy, Barcelona Publications, Sage Encyclopedias, Annals of Long-Term Care, and the American Journal of Hospice and Palliative Medicine. She currently serves on the editorial review board of Music Therapy Perspectives, Journal of Music Therapy, Voices, and Austin Palliative. Clements-Cortés has produced several recordings including: Soothing Relaxation Journeys and Episodes of Relationship Completion. Her extensive clinical experience involves working with a variety of clients across the lifespan. Her business Notes By Amy was founded in 1995. 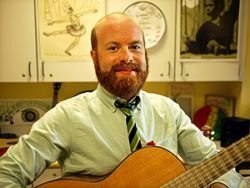 BIO: Andrew is a medical music psychotherapist, researcher, musician, and educator. Coordinator of the multisite music psychotherapy program in radiology oncology at Mount Sinai Beth Israel Medical Center in New York City, he is pursuing a doctorate at the University of Jyvaskyla. 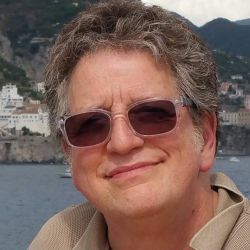 He is on the faculty at the University of Barcelona, and Montclair State University, and has implemented music therapy programs internationally in various hospitals. Andrew has presented and lectured extensively in the United States, Europe, and Asia. He is president of the NYC Regional Arts in Healthcare Group, and a member of the board of directors of the IAMM. 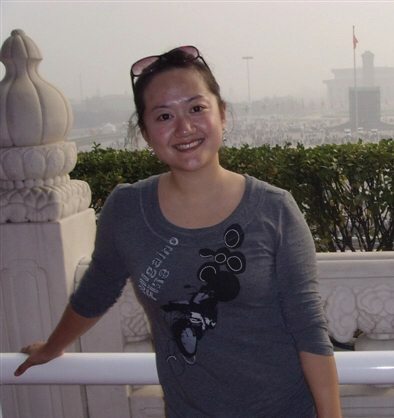 BIO: Jing-wen Zhang is a music therapist at the China Rehabilitation Research Center in Beijing, China. She received her master degree from the SUNY at New Paltz in U.S., and bachelor’s from the Central Conservatory of Music in China. Jing-wen completed clinical internship and a research fellowship in oncology at the Louis Armstrong Center for Music and Medicine at Mount Sinai Beth Israel in New York City. She authored and co-authored a few articles which were published on international journals and Chinese journal. Jing-wen had presented in the conferences of American Music Therapy Association (AMTA). She was awarded the Jenny Shinn Memorial Scholarship by the AMTA Mid-Atlantic region in 2014. Publications She has published extensively on her research and clinical practice. In 2013, the interdisciplinary team she was working with had an article published in the Journal of the American Medical Association. This article was, Effects of patient directed music intervention on anxiety and sedative exposure in critically ill patients receiving mechanical ventilatory support. She has published over 20 book chapters and in 2015 published a book entitled, Creative Arts Therapies in Eating Disorder Treatment. Presentations Dr. Heiderscheit presents nationally and internationally extensively on her research and clinical practice. Professional Service Dr. Heiderscheit is currently the Past President of the World Federation of Music Therapy and serves as the Chair of Development and Finance for the International Association of Music and Medicine. She frequently consults with service and healthcare organizations nationally and internationally regarding music therapy research and clinical practice. BIO: Barbara L. Wheeler, PhD, MT-BC, holds the designation of Professor Emerita from Montclair State University, where she taught from 1975-2000. 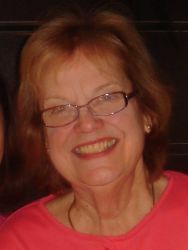 She initiated the music therapy program at the University of Louisville in 2000, retiring in 2011. She presents and teaches in the U.S. and internationally, with current faculty appointments at Molloy College, Rockville Centre, NY; the University of Applied Sciences Würzburg Schweinfurt, Department of Social Studies, Würzburg, Germany; and Karol Szymanowski Academy of Music, Katowice, Poland. She has been an active clinician throughout her career and worked with a variety of clientele. Barbara edited Music Therapy Handbook and Music Therapy Research (2nd Edition), is one of the editors of Music Therapy Research (3rd Edition), currently in preparation, is coauthor of Clinical Training Guide for the Student Music Therapist, and has written other articles and chapters. She is a past president of the American Music Therapy Association and was Interview Co-Editor for Voices: A World Forum for Music Therapy. YU-FEI YIN received her Master of Music in Music Therapy from China Conservatory and her MB in Medicine from Chongqing Medical University. 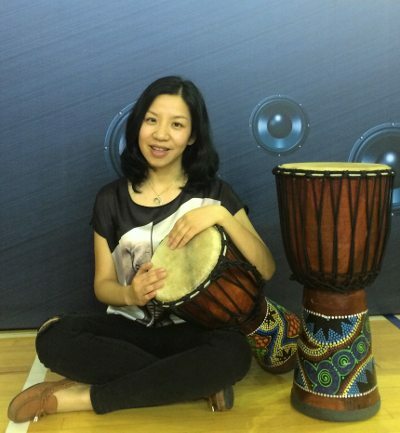 She works as music therapist in Beijing Huilongguan Hospital, Peking University, and is part – time staff in Music and Wellness in Yi – Ren Music Spa. 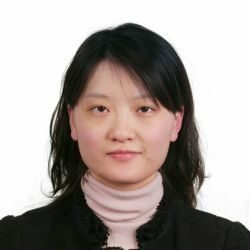 XI-JING CHEN, PhD, post doctoral researcher at the Psychology Institution, Chinese Academy of Sciences. She works with offenders, drug abusers, and adults with intellectual and developmental disabilities, and has done several studies in the related Fields. MING-MING LIU, MA, is Associate Professor and Director of the Music Therapy Center, Central Conservatory of Music, Beijing. 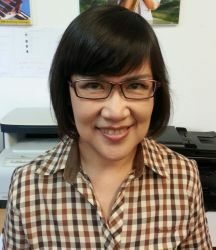 She is on the Editorial Board of Creative Arts in Education and Therapy, the first journal of arts therapy in China. She devotes herself to helping establish music therapy in general hospitals. 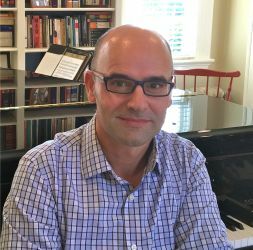 BIO: Bernardo Canga, MMT is a Music Therapist at the Children’s Hospital of The King’s Daughters in the Department of Pediatrics at Eastern Virginia Medical School,Norfolk, VA, USA. 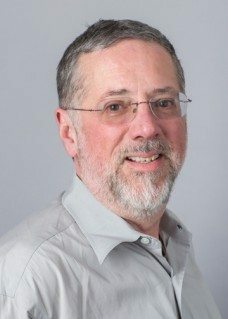 He holds a Master Degree in Music Therapy from the Pontifical University of Salamanca, Spain, and completed a Clinical Music Therapy Fellowship at Mount Sinai Beth Israel, NY. He has published in medical and music therapy journals, lectures regularly in national and international symposiums, and is a member of various editorial boards of medical and music therapy journals. His research interests are currently Music Therapy and neonatal pain. He has a strong professional focus on international health, specifically in Latin America. 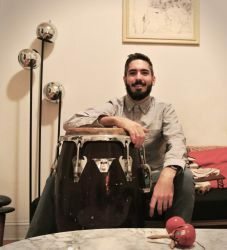 As an International Medical Educator for Physicians for Peace, he implemented training in Music Therapy and Pediatric Burn Care in the Dominican Republic in 2015 and is working to integrate Music Therapy in neonatal intensive care units in Nicaragua as an effective method to improve neonatal morbidity. BIO: Dr. Joanne Loewy DA, LCAT, MT-BC is the Director of the Louis Armstrong Center for Music and Medicine, and an Associate Professor at Icahn School of Medicine at Mount Sinai. The Louis Armstrong Center among many populations is serving musicians and their unique ailments including chronic fatigue, chemical dependency, performance anxiety and overuse. It also serves children with developmental delays, teens with emotional issues, adults with neurological disorders and all ages of patients with asthma and COPD. Loewy oversees the Department of Music Therapy which she started at Beth Israel in 1994. 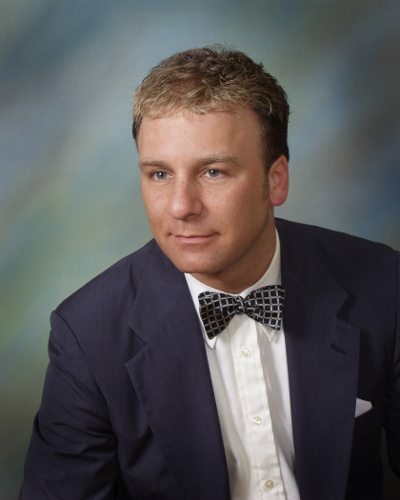 Dr Loewy has conducted research in sedation, assessment, pain, asthma and NICU music therapy. Her areas of specialty are assessment, hermeneutic research, trauma and supervision. Dr. Loewy is the Editor in Chief of the international, peer reviewed journal ‘Music and Medicine’ and serves on several editorial boards including the Cochran Palliative Care review and the Journal for Complementary and Alternative Medicine. She received her doctorate from NYU. 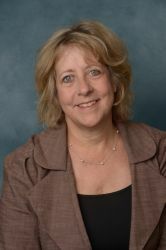 Dr Loewy has edited several books including Music Therapy in Pediatric Pain, Music Therapy in the NICU, and she co-edited Music Therapy at End of Life and Caring for the Caregiver: Music Therapy in Grief and Trauma and the new Integrative Advances in Music and Medicine: Music, the Breath and Health. 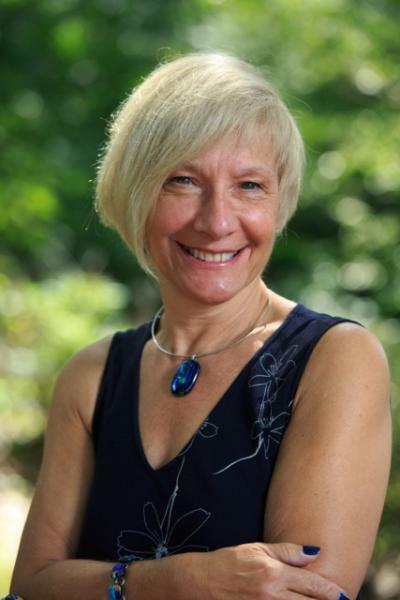 Dr. Loewy is a Founding Member of the International Association for Music and Medicine and she teaches at Hahnemann Creative Arts Therapy graduate music therapy program at Drexel University in Philadelphia and at the University of Barcelona. BIO: Dr. Jonathan Raskin has been a practicing pulmonologist for the past 31 years in New York City. 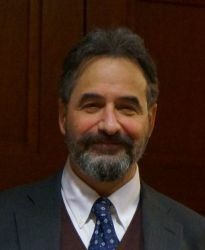 A Clinical Assistant Professor of Medicine at the Mount Sinai School of Medicine, he is also the former Chief of Pulmonary Medicine at Beth Israel Medical Center Singer Division in New York City and is currently the Medical Director of Alice Lawrence Center for Health and Rehabilitation at Mount Sinai Beth Israel Medical Center, N.Y. He is on the Board of Directors of the Louis Armstrong Center for Music and Medicine and is also a member of the Board of Directors of the Louis Armstrong Educational Fund. He is an expert on chronic lung disease and has lectured and published extensively on Pulmonary Rehabilitation a disease management strategy that integrates education, exercise and alternate therapies in caring for chronically ill patients. Music Therapy has become an integral therapeutic modality in this program for many years. The recent publication in Respiratory Medicine Journal 2015 titled AIR: Advances in Respiration-Music Therapy in the treatment of chronic pulmonary disease represents decades of work and study on the impact of music therapy in patients afflicted with chronic lung disease. BIO: Dr. Bussakorn Binson is a Music Professor at Chulalongkorn University, Thailand. She received her PhD in Ethnomusicology from the University of York in the UK. She is one of the founding members of the International Association of Music and Medicine and is on its journal’s editorial board. She received SAGE’s Best Paper Award in 2012 for her music therapy research titled “Effects of Music Intervention on Patients Undergoing Hemodialysis in the Bangkok Metropolitan Administration Hospitals”. 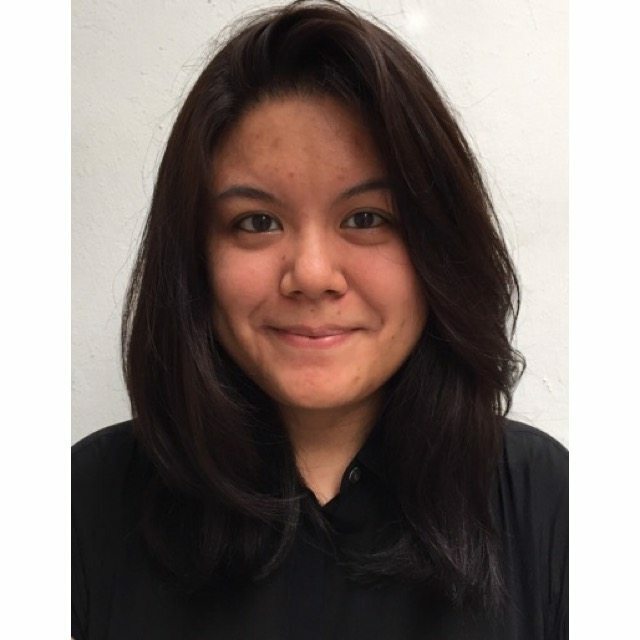 Her current research focuses on ‘Music intervention (Angklung) for Improving Quality of life and Community Participation among Eldery People’ as well as ‘The effect of music intervention for elderly cancer patients under going Chemotherapy’. BIO: Clare O’Callaghan PhD is a Music Therapist at Caritas Christi Hospice, St Vincent’s Hospital, and the Senior Research Associate in Palliative Care at Cabrini Health, Australia. 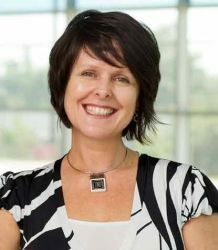 In 2008-9 Clare examined music’s role in cancer experiences as an Australian National Health and Medical Research Council Post-Doctoral Fellow in Palliative Care. Originally a social worker, Clare became a music therapist in 1985 after completing her training at The Memorial Sloan Kettering Cancer Centre, New York. Clare is particularly interested in translating clinicians’ practice experiences into professional knowledge through working as a therapist-researcher and through clinician-researcher partnerships. Her research is widely published in palliative care, psycho-oncology, medical, social work, and music therapy refereed journals and textbooks. Clare holds honorary titles as Associate Professor, Department of Medicine, St Vincent’s Hospital, The University of Melbourne, and Fellow, Department of Cancer Experiences Research, Peter MacCallum Cancer Centre, where she also worked as a music therapist from 1998 to 2012. Currently, Clare works as a music therapist with patients with advanced illnesses and their families, is supervising PhD students examining music therapy in paediatric palliative care and nature’s role in cancer experiences, and collaborates on numerous interdisciplinary research projects. One project is examining arts based modalities, including music, in palliative pastoral care. BIO: Dr. Concetta Tomaino is the Executive Director and co-founder of the Institute for Music and Neurologic Function and Senior Vice President for Music Therapy at CenterLight Health System (formerly Beth Abraham Family of Health Services), where she has worked since 1980. Dr. Tomaino is internationally known for her research in the clinical applications of music and neurologic rehabilitation. She lectures on music therapy throughout the world. Her work has been featured in national programs including 48 Hours and 60 Minutes; in international programs including the BBC; and in books on health and healing. Dr. Sacks book Musicophilia is dedicated to her. Dr. Tomaino is Past-President of the American Association for Music Therapy and founding board member for the International Association for Music and Medicine. She received the Award of Accomplishment from Music Therapists for Peace at the United Nations. In 2014, she received the Lifetime Achievement Award from the American Association for Music Therapy. In 1999 she received a Touchstone Award from “Women in Music” for her visionary spirit. In 2004 she received the Music has Power Award from the IMNF and the Zella Bronfman Butler Award which is given by the UJA-Federation of New York in partnership with the J.E. and Z.B. Butler Foundation to professionals in the UJA-Federation agency network for their outstanding work on behalf of individuals with physical, developmental, or learning disabilities. 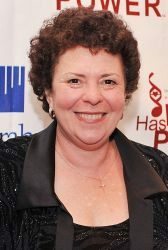 She was honored with the 2010 Professional Practice Award from the American Association for Music Therapy and also as one of “Three Wise Women” by the National Organization of Italian American Women. In 2011 she received in inaugural Burton Grebin Innovator of the Year Award from the NY Continuing Care Leadership Coalition (CCLC ) She is on the faculty of the Albert Einstein College of Medicine, and Lehman College, CUNY. BIO: Dawn McDougal Miller, MME, MT-BC has been a music therapist for 30 years, during which she has created several new music therapy positions in hospitals and hospice programs in the Minneapolis, Minnesota area of the United States. For the past 21 years, Dawn has been a music therapist and music therapy internship director for the oncology and hospice programs at Park Nicollet. She will begin training her 115th intern in July of 2016. Dawn is pleased to be currently training two interns from China: Yinglan He of Ohio University, and Yue Wu of Colorado State University. 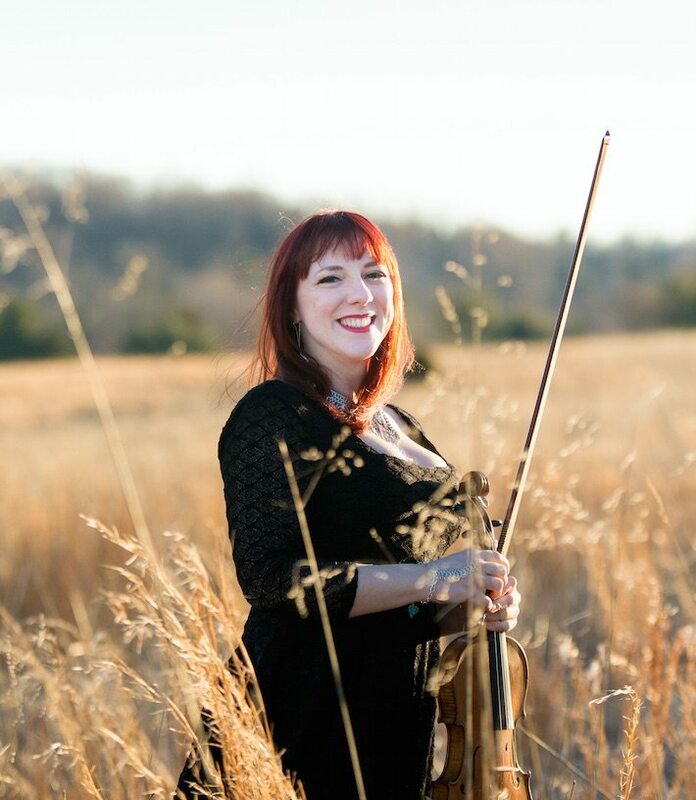 Dawn received her Masters’ Degree in Music Therapy from the University of Kansas, and is board certified by the Certification Board for Music Therapists in the United States. In addition, Dawn became a Fellow in the Bonny Method of Guided Imagery and Music in 2006, after completing a seven year training program. In 2013, Dawn received the prestigious Presidential Award from her company. She has co-authored several book chapters and articles on music therapy in cancer care. Dawn recently submitted an article to the IAMM Music and Medicine journal, and her presentation today will be based on this case study. BIO: Erik Baumann MMT was born in Lima, Peru, where he earned his bachelor degree in clinical psychology. There he worked as a psychotherapist, and was involved in several community development projects with at-risk populations. He subsequently earned his Music Therapy Masters degree from Universitat de Barcelona, Spain, where he focused his music therapy training on the child-parent bond. He then moved to New York for approximately three years, in which he was heavily involved in such areas as oncology, palliative care, and in his role as an International Research Scholar at the Louis Armstrong Center for Music and Medicine. Erik has now relocated to his home city of Lima, where he is currently working towards developing the field of music therapy in Peru. He has a private practice, and collaborates with Polila, an Art-Therapy Center, where he works with clients of all ages using a music-psychotherapy approach. With a group of colleagues, he is developing what will become the first ever music therapy service in a hospital in Lima. In order to create awareness of music therapy, he has participated in conferences and given workshops throughout Lima. He has been featured in several Peruvian newspaper articles, TV-appearances and in the upcoming documentary The Worldwide Music Therapy Project. 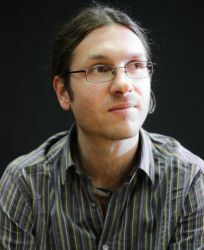 He is a published writer and has presented his work in Spain, Sweden, New York, and Peru. He is also the Production Editor for the Journal of Music and Medicine. When not working as a music therapist, Erik dedicates his passion for music as a musician. He has been invited to play with foreign acts that have visited his country and is a member of some of Lima’s most renowned indie rock bands. BIO: Dr. Erika Saito is a practicing physician in the Palliative Care Department of St. Luke’s International Hospital in Tokyo, where she is also involved with the Japanese Music Therapy Association. Before training as music therapist, she taught respiratory medicine while practicing pulmonology and oncology at Saitama Medical University International Medical Center in Saitama, Japan. She previously practiced at the Tokyo Metropolitan Cancer and Infectious Disease Center, and in the Department of Geriatric Medicine at Tokyo University Hospital. She has also served in Washington, DC as a visiting researcher in The George Washington University’s Department of Pharmacology and Department of Biochemistry and Molecular Biology. Her Music Therapy training included an internship at Mount Sinai Beth Israel Hospital in New York City, under the mentorship of Joanne Loewy and Andrew Rossetti at the Louis Armstrong Center for Music and Medicine. 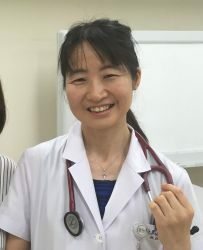 Dr. Saito received her Medical Doctorate from Chiba University, her Ph.D. in Biochemistry from the Tokyo University Graduate School of Medicine, and her Master’s in Music Therapy from New York University. She is a Board Certified Member of the Japanese Society of Internal Medicine, a Fellow of the Japanese Society of Internal Medicine, a Board Certified Member of the Japanese Respiratory Society, a General Clinical Oncologist as certified by the Japanese Board of Cancer Therapy, and a Board Certified Music Therapist (U.S.A.). Musically, Dr. Saito has enjoyed training in classical and expressive piano since very early childhood, and trained as a young adult in Vienna, Austria. In addition to many classical recitals, she performed onstage as a rock band member during her college years. She is trained and experienced as a composer for piano and electronic keyboard, both classically and with computer-based music production techniques. 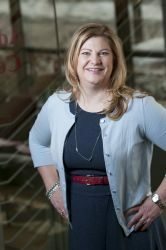 BIO: Heidi Ahonen, PhD, MTA, FAMI, Group Analyst, is a professor of Music Therapy at Wilfrid Laurier University and the director of the Manfred and Penny Conrad Institute for Music Therapy Research. Heidi has trained music therapists and psychotherapists and conducted workshops for healthcare professionals since 1991. Heidi practices music psychotherapy and has specialized in PTSD, refugee trauma, health care professionals’ burn-out, vicarious trauma, and compassion fatigue. As a music medicine researcher, Heidi investigates the effect of low frequency sound with Parkinsons, Alzheimers, and PTSD. 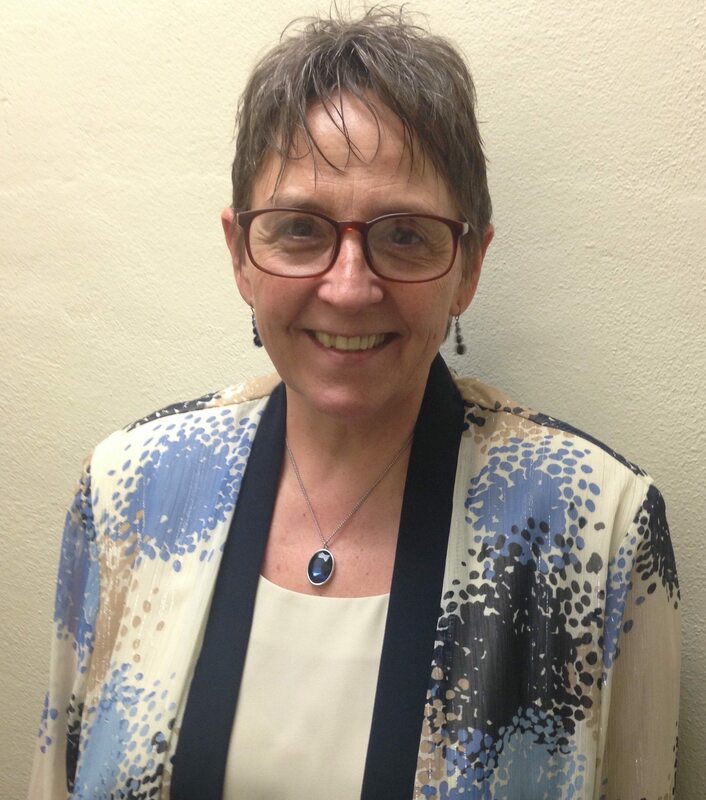 BIO: Professor Jane Edwards, PhD RMT Jane is the inaugural President of IAMM. She is the programme leader for mental health at Deakin University, and was formerly the Director of the Music & Health Research Group at the University of Limerick. She has conducted research into music and emotion, music applications in medicine, new services development, and parent infant bonding. Her recent edited book The Oxford Handbook of Music Therapy provides an overview of the developments and practices in contemporary music therapy in medical, community health, and education settings. 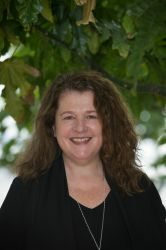 BIO: Helen Shoemark PhD is an Associate Professor of Music Therapy at Temple University, Philadelphia, USA, and Team Leader for Sensory Experience in Early Development at the Murdoch Children’s Research Institute in Melbourne Australia. For 20 years Helen was senior clinician in a paediatric NICU at the Royal Children’s Hospital Melbourne. 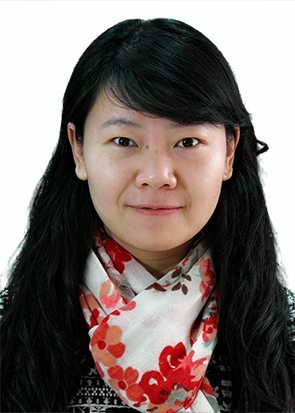 BIO: Ming-Ming Liu, Associate Professor., M.A., Ph.D. 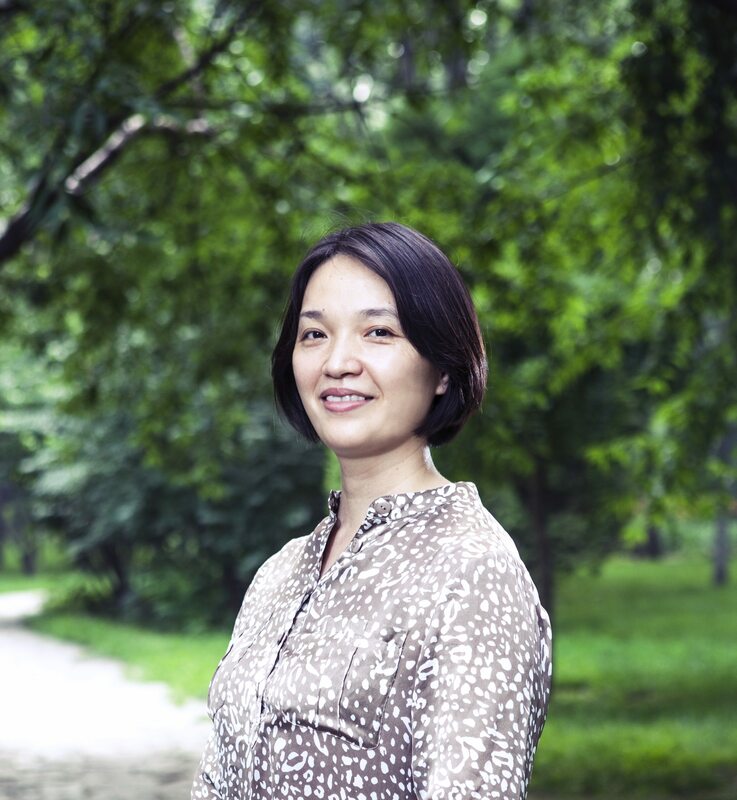 Candidate Ming-Ming is an assistant professor and the director of the Music Therapy Center at the Central Conservatory of Music in Beijing. She conducts clinical work at Beijing Eden Hospital. Ming-Ming devotes herself to help and support establishing music therapy programs in general hospitals in China. She serves at the editorial board of the Creative Arts in Education and Therapy—Eastern and Western Perspectives that is the first journal about creative art therapies in China. BIO: Prof. Jeekel, professor of surgery at the Erasmus Medical Center Rotterdam (Netherlands) leads the project group ‘Muziek als Medicijn’ (MAM) (“Music as Medicine”). He aims to implement music as a new, sustainable form of treatment in health care and pain relief. Since music is a treatment which is not yet widely accepted, Prof. Jeekel, along with a number of PhD students, investigates this potential treatment method at the Erasmus University in Rotterdam. Since research demonstrated that music applications in healthcare are really effective, the next step is therefore to provide a permanent place for music as a treatment method. BIO: Dr. Planas earned his medical degree and Medical Oncology specialty in 1982 in the University of Barcelona (Spain). He is currently Director of the Palliative Care Unit (PCU) in the Hospital del Mar in Barcelona. 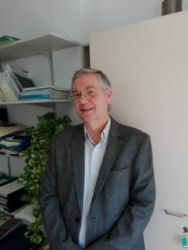 He was Director of the Master of Palliative Care of the University of Barcelona. He has published over 60 research papers as well as text books in the areas of Oncology, Pallitaitive Care and Music Therapy (MT). He is currently Associate Professor of Oncology in the University Autonoma of Barcelona. In 2010 under the guidance of Prof. Andrew Rossetti, Dr. Planas developed the initial Project of Music Therapy as non-pharmacological treatment in patients in the PCU. Currently the program is directed by Dr. Planas and Prof. Nuria Escude. It is staffed with three Music Therapists and the students of the Master of MT directed by Prof. Nuria Escude. The program serves over 80 patients yearly and the program includes an active research component. Current research will be presented in this Conference. BIO: Dr. Kana Okazaki-Sakaue, D.A, MT-BC, NRMT, ARAM Kana is a music therapist trained both in UK and USA. She studied piano at the Royal Academy of Music, London, England and was trained at the Nordoff-Robbins Music Therapy Centre in London and then got Master’s and Doctorate degree at NYU. She is currently working as an Associate Professor at the Kobe university, Japan and also serving as a board member and the chair of International Committee of the Japanese Music Therapy Association. She has also been involved as the committee member of Accreditation and Certification Commission of World Federation for Music Therapy. She is also the Advisor for Tohoku Music Therapy Project, supporting the music therapy work for survivors after the Great East Japan Earthquake and Tsunami, since 2011. Her current clinical work includes special education settings as well as experiential training for music therapists and trainees. She supervises music therapists and other related professionals such as psychologists and psychiatrists. Her specific research is about clinical improvisation. 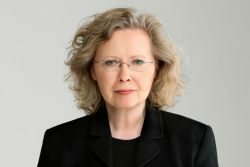 BIO: Karette Stensæth is Associate Professor and Coordinator of the Centre for Music and Health at the Norwegian Academy of Music in Oslo, Norway. She teaches and supervises on all levels, BA, MA, PhD. In 2015 she finished her post-doc position in the interdisciplinary research project RHYME (www.rhyme.no), which developed technology and design of musical and interactive media for health promotion for families with a child with disabilities. Stensæth has a long publication list and has edited several books. She is a publishing editor of the Series for Centre for Music and Health. Her research interests include philosophy (Mikhail M. Bakhtin and his Dialogue philosophy, in particular), theory, improvisation, aesthetics and technology. Stensæth is active with web communication discussing the beneficial relationships between music and health. She is head of the scientific committee at the Norwegian Conference of Music Therapy in June 2016. Her clinical experience as a music therapist is extensive, having worked for more than 25 years with children and adolescents with complex needs. Presentation: Differential Diagnosis for Disorders of Consciousness through Contributive Music Therapy interventions . BIO: Marcela Lichtensztejn, MT-BC, NRMT, LCAT is the Founding Director of APEM Vanguardia en Artes Aplicadas, Ciencia y Salud, interdisciplinary creative arts therapies and traditional therapies program, in Argentina. 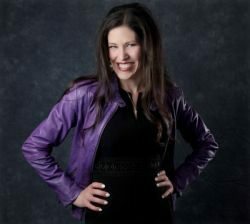 She is a music therapist, piano performer and music educator. Originally from Argentina, she gained her graduate degree in Music Therapy and her Advanced Certification in Nordoff-Robbins approach at New York University, and joined the Institute for Music and Neurologic Function and the Louis Armstrong Department of Music Therapy teams among others. Back in Argentina in 2008, she founded and directed the Music therapy Program and the Creative Arts Therapies Department at INECO until 2015. Her areas of clinical and research expertise are children and adults with acquired and degenerative neurological conditions with emphasis in disorders of consciousness, cognitive impairment, speech and movement disorders, musicians with emotional challenges, family support and supervision. Ms. Lichtensztejn speaks internationally on her developments on Nordoff-Robbins music therapy in neurorehabilitation, brain and music processing, the effects of music in neurodevelopment, cognitive function and quality of life, and serves on the editorial board of both peer reviewed journals ‘Music and Medicine’ and ‘Revista Brasileira de Musicoterapia’. She has authored the book “Music and Medicine: The specialized application of music in health care” (Ediciones Elemento, 2009, Bs. As. ), and several book chapters on music therapy in neurorehabilitation and neurodevelopment. BIO: Mark is an Ethno-Music therapist trained in Vienna, Austria. 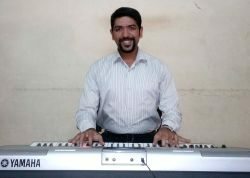 He holds a PhD in Music Therapy from Anglia Ruskin University, Cambridge, UK and obtained his training as a Neonatal Music Therapist at the Louis Armstrong Center for Music & Medicine in New York, United States. He holds a M.A. in Peace Studies and Conflict Resolution from the UNESCO Chair of Philosophy for Peace, University Jaume I, Castellón, Spain. He currently lives and works in Colombia, where he is the director of SONO – Centro de Musicoterapia (www.sono.la) and a lecturer at the M.A. in Music Therapy at the Universidad Nacional de Colombia. He coordinates the music therapy department at the Hospital Centro Policlínico del Olaya and is a music therapist in private practice. 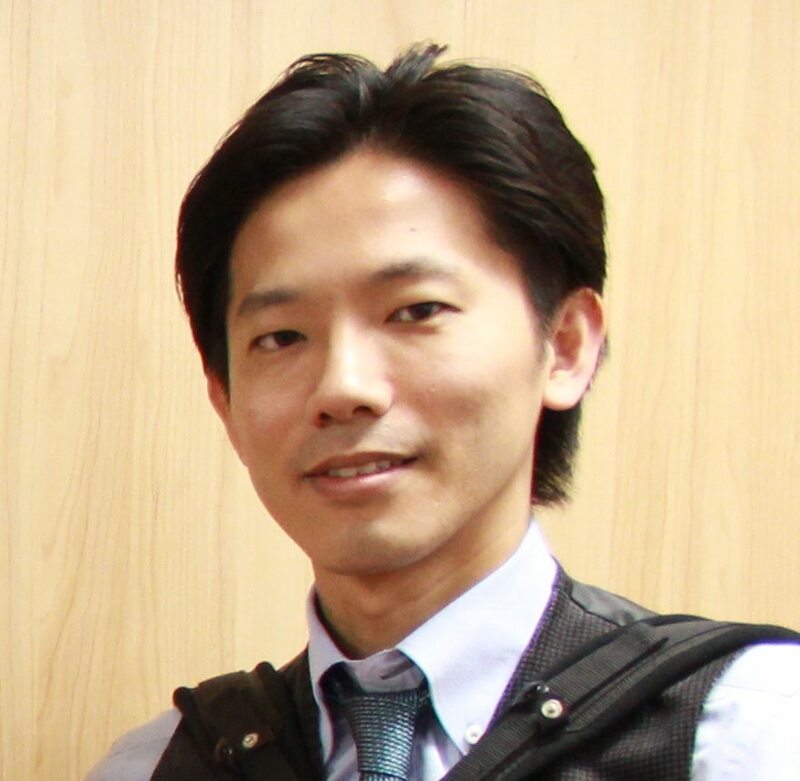 BIO: Dr. Masami SAKAUE, M.D., Ph.D. Psychiatrist, who studied at the Faculty of Medicine, Kanazawa University, Japan. He had been trained psychopathology at the Department of Psychiatry, Jichi Medical School, Tochigi, Japan. And had worked at the National Hospital, NCNP(=National Center of Neurology and Psychiatry) as the chief doctor of psychiatric Department. He also studied music therapy at the Vienna university for Music and Drama in 1989-1990 with Dr. Schmoelz. He is currently working as the Professor of Kunitachi College of Music (Music Therapy Program). 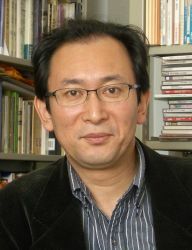 He also serves as a board member of the Japanese Society of Psychopathology of Expression and Arts Therapy, a board member of the Japanese Society of Pathography, the Council member of the Japanese Music Therapy Association, Vice Chair of Editorial Board of Japanese Journal of Music Therapy as well as an Editorial Board member of the Japanese Bulletin of Arts Therapy. 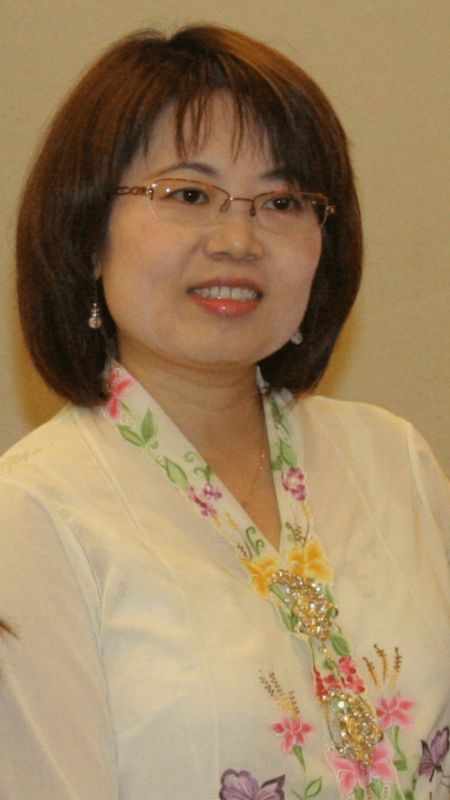 BIO: Dr. Nai-Wen Chang received her Ph.D. degree in music therapy from the University of Minnesota, USA. She is currently an adjunct professor at the graduate program of audiology and speech therapy and music department of the National Kaohsiung University, and the music department of Tunghai University in Taiwan. She is also a music therapist at the Child Development and Behavior Department, Children’s Hospital of China Medicine Hospital, Taiwan. Dr. Chang has conducted research in comparison of music therapy and speech therapy for adult aphasic and trauma brain injury patients, and children with hearing aids and cochlear implants. Her clients include children with autism spectrum disorder, cancer/terminal illness, emotional disturbance, developmental delay and Rett syndrome. BIO: Dr. 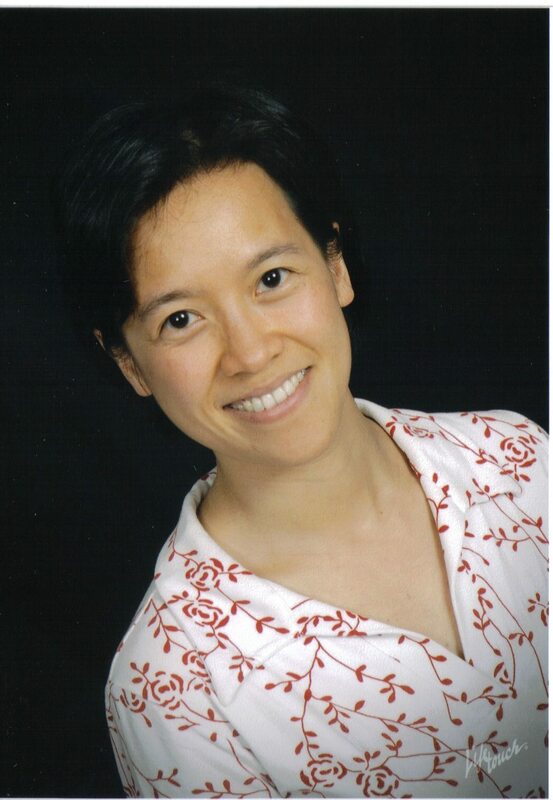 Patsy Tan is an American Board Certified as well as Australian Registered Music Therapist. She is also certified in Neurologic Music Therapy and Neonatal Intensive Care Unit Music Therapy. Dr. Tan is a pioneer in medical music therapy in Singapore whereby she introduced music therapy into acute medical setting in 2005. In 2013, she became an Honorary Fellow of the University of Melbourne, Australia. 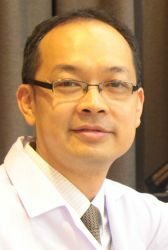 For the past 20 years, Dr. Tan worked in the United States, Taiwan and Singapore as a music therapist. She has worked with a variety of populations in various settings. She has served patients with Alzheimer’s disease, Huntington’s disease, Parkinson’s disease, cancer, traumatic brain injury, stroke, special needs, burns as well as heart and lung transplant. She has also lectured in Taiwan and given talks in China, Japan, Korea and Malaysia. She has published in scholarly journals and presented in various professional conferences. Dr. Tan came back to Singapore and joined the Singapore General Hospital (SGH) in 2005 whereby she established the first music therapy program specifically for hearing impaired children in aural/oral habilitation in SE Asia. By 2007, she managed to get medical music therapy recognized as an allied health profession and thus the Music and Creative Therapy Unit at SGH was established. The unit serves not only the hearing impaired population but to various populations in the inpatient wards. Dr. Tan also established a training program whereby music therapy students can do their internship/practicum at SGH. As a founding member of the International Association for Music and Medicine (IAMM) and the Association for Music Therapy (Singapore), she is currently serving in the editorial board and conference committee of the IAMM. 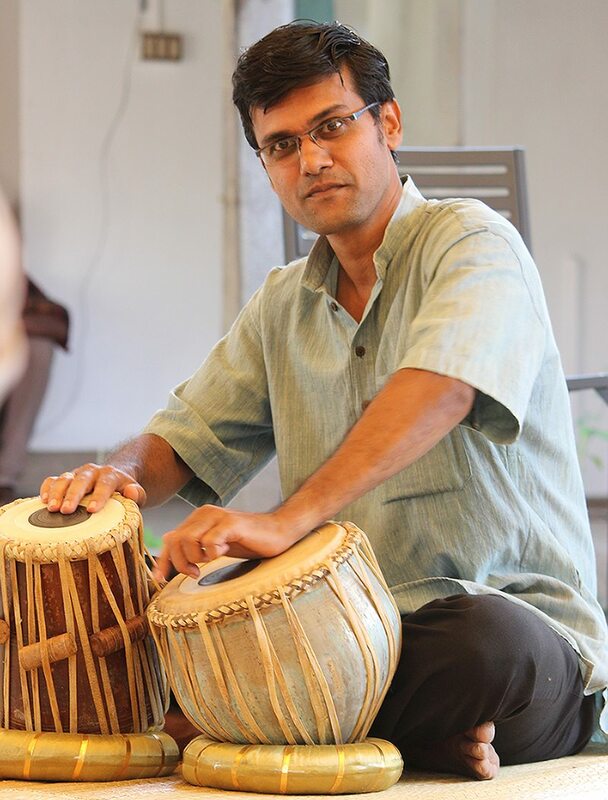 BIO: Dr. Sumathy Sundar is a clinician music therapist, researcher and educationalist in India. 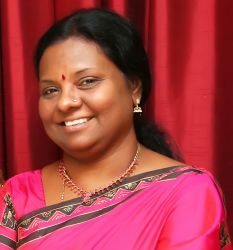 She is the founder-director of Chennai School of Music Therapy and currently serves as Director, Center for Music Therapy Education and Research at Sri Balaji Vidyapeeth. She holds a Ph.D. in musical interventions in cancer care and has Master’s degree in Indian music and applied psychology. She also currently serves World Federation of Music Therapy as its Chair, Education and Training Commission. A founding member of the International Association of Music and Medicine, she presently serves its board of directors as a member. She is on the editorial board of the International Journals ” Music and Medicine and “Music Therapy Today.” She has a wide range of publications from articles to book chapters and podcasts in many International Journals of repute in music therapy. She has served as a scienti-ic committee/board member in many international conferences, organized many international conferences and also presents regularly in several Conferences. Her research interests are in the area of validating/objectifying traditional healing practices and integrating Eastern traditions with Western philosophies of music therapy in patient outcomes. Presentation 1: Music interventions in acquired brain injury – results of a Cochrane review. 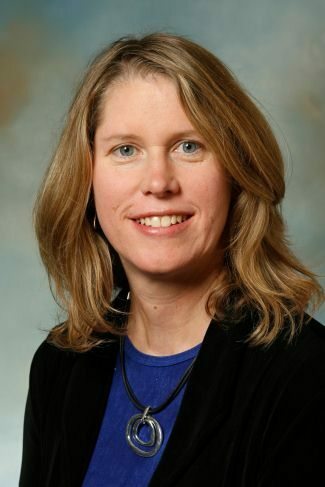 BIO: Dr. Wendy Magee is Associate Professor in the Music Therapy Programme at Temple University, Philadelphia. She has practiced in neurological rehabilitation since 1988 as a music therapy clinician, researcher, manager and trainer (USA, UK and Australia) with adults. She is an active researcher with diverse adult and child neurological populations and a published Cochrane reviewer: the updated Music Interventions for Acquired Brain Injury is being published in 2016. Her research topics and training expertise span evidence-based practice in neurorehabilitation; measurement for populations in rehabilitation and chronic care; music therapy and identity; and new and emerging music technologies in health and education with her published book Music Technology in Therapeutic and Health Settings. She is widely published in interdisciplinary peer-reviewed journals spanning neuroscience, medicine, rehabilitation, psychology, music therapy and health sociology. Recent editorial and publication projects include a guest editorship of a special issue of Frontiers of Psychology: Music and Disorders of Consciousness: Emerging practice, research and theory (freely available on line). She is the recipient of a number of research awards including a Leverhulme Fellowship in the UK (2009), the AMTA Arthur Flagler Fultz Research Award in the USA (2015) and research awards from Temple University (2012-2015) and the Mid-Atlantic Region of the AMTA (2013, 2016). 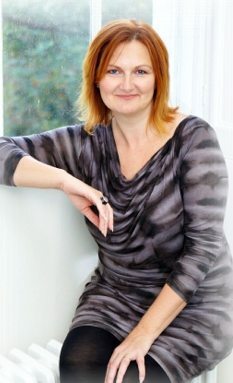 She served as Chair of the British Society for Music Therapy (2006-2011) with current or previously held roles on the editorial boards of the following journals: Australian Journal of Music Therapy (Associate Editor), Journal of Music Therapy, Music Therapy Perspectives, Voices, British Journal of Music Therapy. BIO: Alison Rigby, MS, MA, MT-BC, RYT-200, is a music therapist at The Children’s Hospital of Philadelphia (formerly her internship site), where she provides care to patients and families through the program, Music Together Within Therapy. She also is an adjunct professor for the Creative Arts Therapies Program at Drexel University, instructing the neuroscience course for music therapy and dance/movement therapy students. She also teaches yoga in the Philadelphia area. Having left a research career in neuroscience to change careers, Alison seeks to integrate music therapy, neuroscience and yoga in meaningful and useful ways, and to strengthen the fields of music therapy and music cognition research. Alison has contributed to published articles in neuroscience research, and has presented at the MAR-AMTA conference, Cancer Treatment Centers of America, and the Society for Neuroscience Conference. 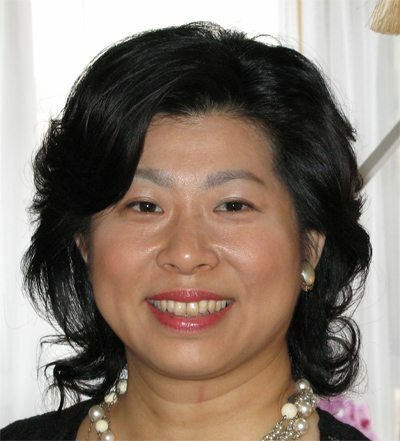 BIO: ChihChen Sophia Lee, PhD, MT-BC, Professor /Director of Music Therapy at Southwestern Oklahoma State University and Past President of Southwestern Region of American Music Therapy Association, is scholarly active internationally. 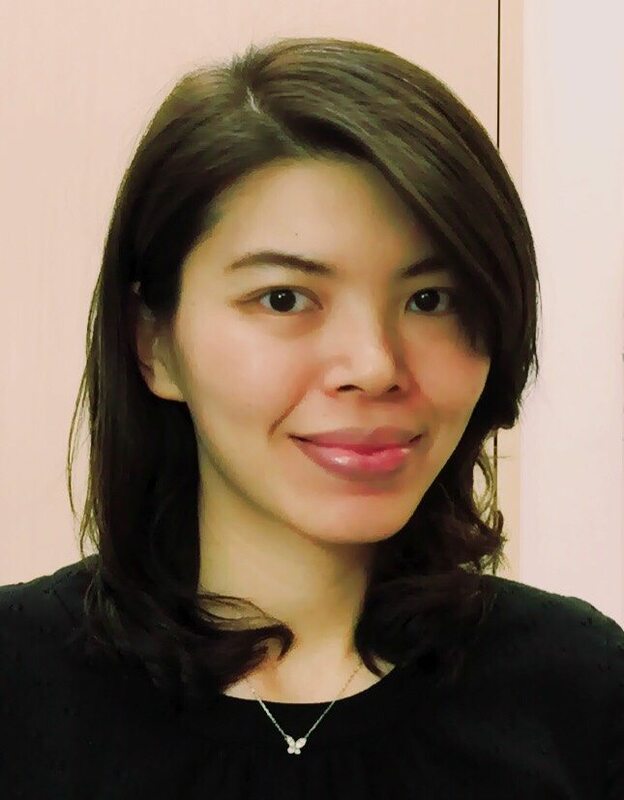 Bio: Emily Man Ting YEUNG is a UK-trained music therapist (BAMT & HCPC registered, UK) currently based in Hong Kong and practicing in various non-government organizations, special and mainstream schools. She works with a variety of clients across the lifespan. 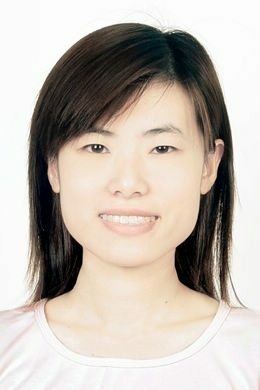 Miss Yeung obtained her Bachelor of Arts in Music in Chinese University of Hong Kong, and her Master of Arts in Music Therapy in the University of Roehampton (with Distinction). She also holds Guided Imagery and Music (GIM) Level II certificate trained by Professor Leslie Bunt and Mr. Martin Lawes. In the coming years, she prepares to conduct a series of researches relating to psychodynamic music therapy for clients with psychiatric disorders. 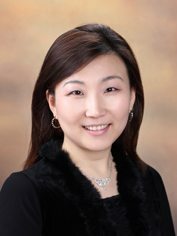 BIO: Eunyoung Han, MMT, MEd, KCMT is a music therapist, researcher, musician and educator. She is pursuing doctoral program in music therapy at Ewha Womans University Graduate School, Seoul, Korea. She has master’s degree in music therapy and music education with voice emphasis. 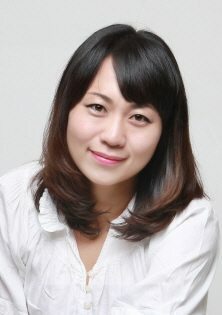 She is currently working as a music therapist for Parkinson’s disease at department of Neurology, Ewha Womans University Mokdong Hospital, Seoul, Korea and has music therapy sessions for neurodegenerative disease and disability at Yangcheon-Gu Center for Dementia & Health Center, Seoul, Korea. Her research focuses on voice as music and medicine for therapeutic singing program in terms of holistic music therapy including phonetics, neuropsychology and music psychotherapy. Bio: Wang Fangfei graduated from Tokyo National University of Fine Arts and Music in 2008 with a Master’s Degree in Music Therapy. 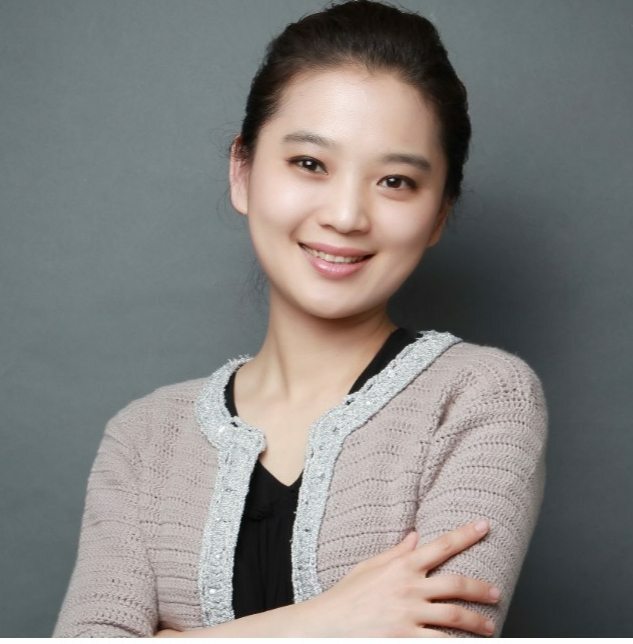 She is currently the deputy director in Psychological Rehabilitation Department of Beijing Disabled Persons Rehabilitation Service & Guidance Center. Her academic and clinical achievements allowed her to be elected as the council member of The Chinese Society of Music Therapy and China Psychological Intervention Association. Her primary research foci is music therapy for children with special needs. She has experience working with various client populations, including children and adolescents with autism spectrum disorders, cerebral palsy, and hearing impairment. Her clinical practices including music therapy sessions for individual, group, and parent-child. 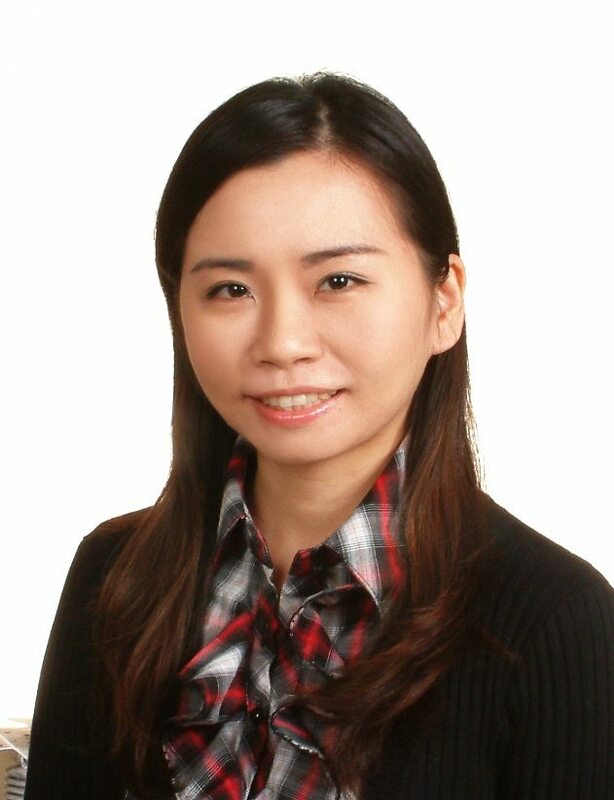 Bio: Fang-Yu Liu, MT-BC, is a PhD Candidate in the Music Education Program at National Taiwan Normal University. She is the recipient of 2015 Outstanding Thesis in Music Therapy and Counseling Award from Drexel University. Her research interests include music education/therapy in children with special needs and parent education. 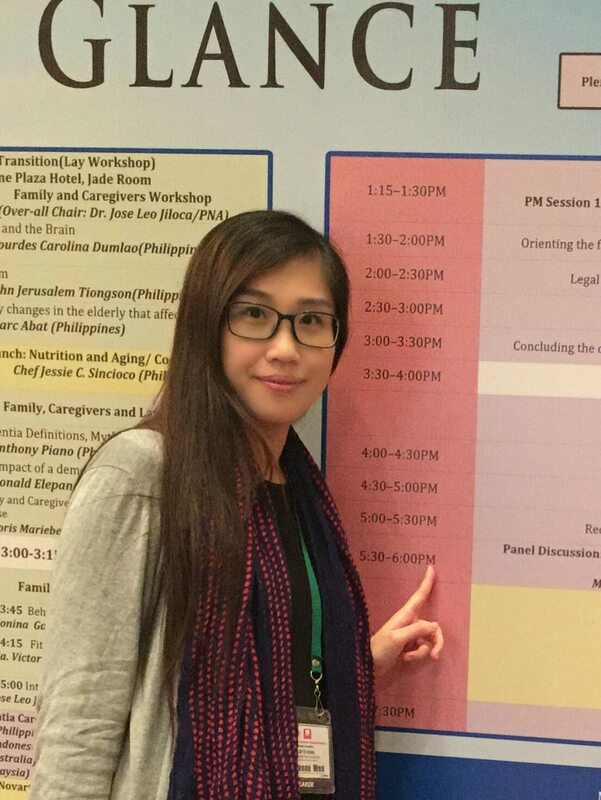 She has presented at international conferences including: Asia Pacific Symposium on MusicmEducation Research, International Conference and Workshops on Early Intervention Profession for Children with Developmental Delay, and Mid Atlantic Regional Conference, American Music Therapy Association. She works with young children who have autism spectrum disorders and children with a variety of special needs in Taiwan. 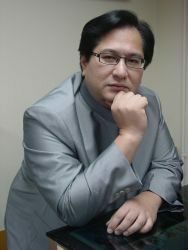 Bio: Dr. Shunwen Wu is Associate Professor of Music Education at the National Taiwan Normal University (NTNU). Dr. Wu graduated, major in piano performance, from the Department of Music, NTNU. She also received, at NTNU, the master’s degree of music education in 1992 and completed the doctoral degree of special education in 2009. Dr. Wu has taught courses for secondary music teacher education from 1996 till now. She also teaches graduate program for the music education division and serves as the advisor in master’s and doctoral dissertations. Her current researches in music education are focused on the teacher education, the special learners, and the music creativity. BIO: Hikari is a Japanese certified music therapist, who received her Bachelor of Arts in Music Therapy from the Senzoku College of Music (2013), Japan, and her Master of Arts in Music Therapy from New York University (2015), USA. She has experience of working with children and adults with disabilities, the elderly, and hospice patients. To-date, her main interest has been focused on music therapy for end-of-life care, which she did for her internship in MJHS, a home-based hospice care institute in Manhattan. She was fascinated by the possibilities and the importance of music at the end of life. Moreover, as she worked with an interdisciplinary team in the hospice, she became interested in integrated medicine. Based on this experience, she recently decided to study acupuncture as another skill for dealing with clients’ physical needs, and her ideal therapist embraces both emotional and physical needs of patients. 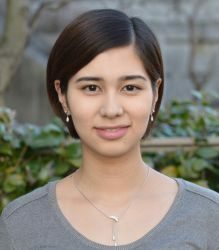 Currently Hikari is studying acupuncture at an oriental medicine college in Tokyo as well as being a resident music therapist at a nursing home in Tokyo. In her clinical work Hikari is exploring the possibility of new intervention therapy based on integrative/complementary medicine utilizing both music therapy and oriental acupuncture. BIO: Huayu Li graduated from Central Conservatory of Music in July, 2009 with Prof- Tian Gao and received her master degree. Since 2009 she is working at the China Rehabilitation Research Center. She is receiving GIM Training since July, 2009. 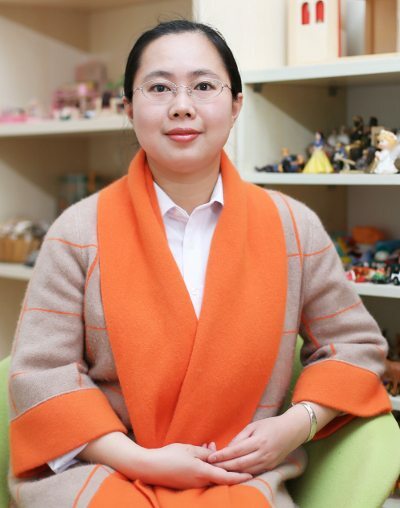 Bio: Dr. Hye Young Park is an assistant professor in music therapy at Kosin University in Korea. One of her main researches involves Neurological Music Therapy including the validity of MIDI piano for the rehabilitation of stroke patients. Park obtained her Ph.D from Ewha Womans University andalso worked as a music therapist at Ehwa Music Rehabilitation Center and Seonam Hospital. Bio: Hye Kyoung Won is a professional member of Korean Music Therapy Association. 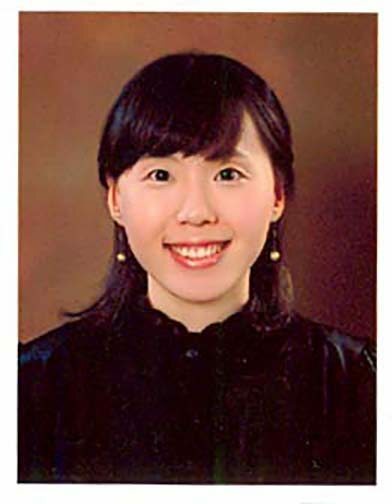 She received Master’s degree at Ewha Womans University and also Ph.D. candidate at Ewha Womans University. She worked as a researcher at Ehwa Music Rehabilitation Center. 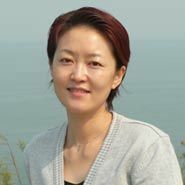 BiO: Dr. Chong received Ph.D. degree at University of Kansas, U.S.A. She is a chair of department of Music Therapy, Graduate School, Ewha Womans University, Seoul, Korea. Also, she is a president of Korean Music Therapy Association and an editor of IAMM and Journal of Music and Human Behavior. 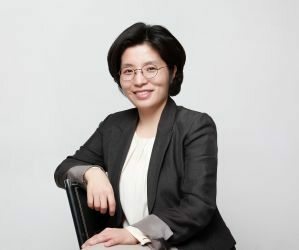 BIO: Dr. Soo Ji Kim is an associate professor and the program head of the music therapy education major in the graduate school of education at Ewha Womans University. She is also affiliated to the department of music therapy in graduate school and a director of arts education therapy institute at Ewha Womans University. Kim received her Ph.D from the University of Kansas, U.S.A. 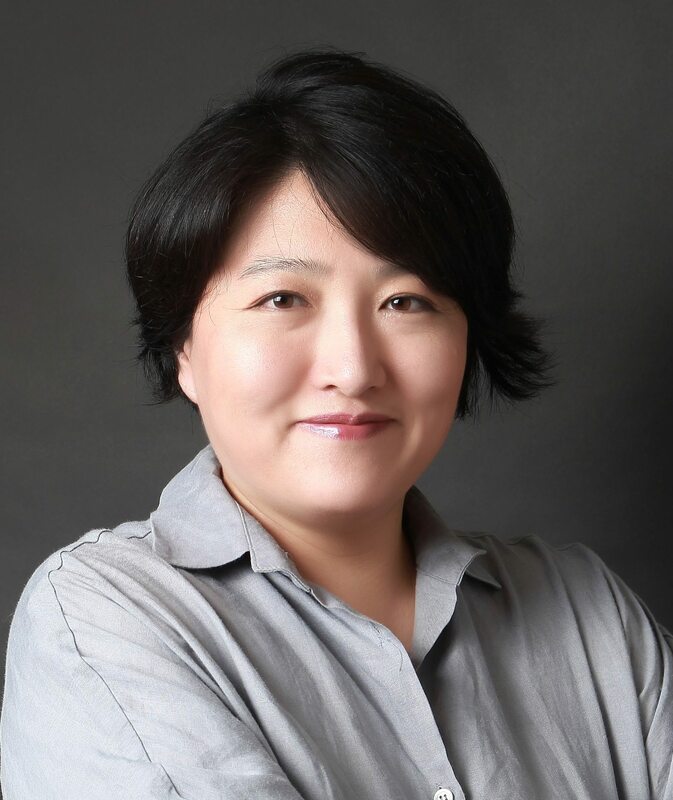 Currently, she is a vice president of the National Association of Korean Music Therapists and a chief editor of Journal of Music and Human Behavior. Her research interest is music in medical settings focused on rehabilitation and aging. music therapy and individuals with rehabilitative and developmental needs. Bio: Jane is a qualified Music Therapist, and an Orff-Schulwerk Certified Music Educator. She graduated from the University of Birmingham with B(Mus)(Hons). Following which, she served in a local secondary school as both a music teacher and department head for arts development. Believing that Music impacts a person on a deeper level, she pursued her Masters in Music Therapy at New York University. During her training, she worked with children coping with special needs, patients at Memorial-Sloan Kettering Cancer Center and Bronx Psychiatric Center. She was deeply humbled by how music has the potential to transcend barriers and bring about healing in more ways than one. Jane is currently working with both the elderly and children through both Music Therapy and Music Education. 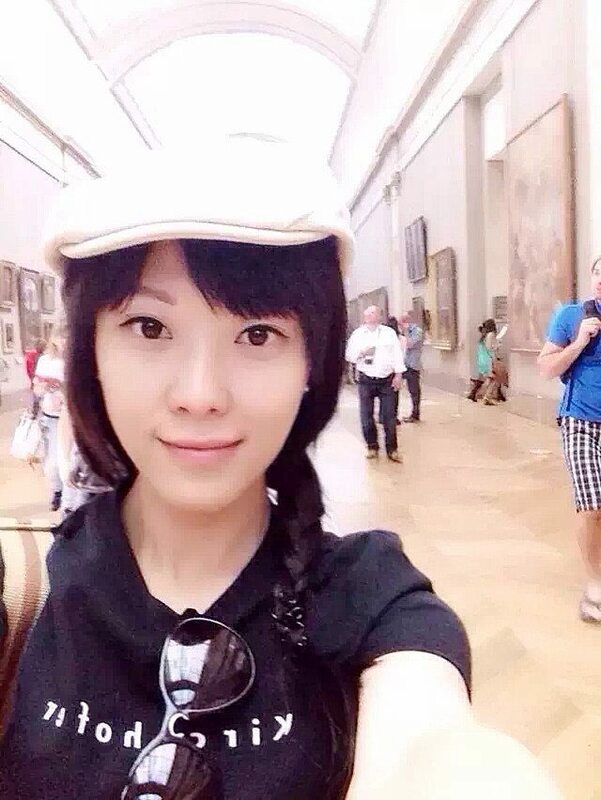 Bio: Jia Chen is a music therapist intern and graduate of the School of Music from Fujian Normal University. Master’s degree in music, Teacher of School of Education Science in Quanzhou Normal Unversity, Volunteer in Quanzhou Shengda Autistic Children Recovering Center. medical music therapy focusing on pain, anxiety and coping. 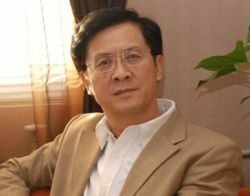 BIO: Jinyi Li, lecturer, chief of Medical Humanities department of the Third Military Medical University. Member of World Federation of Music Therapy (WFMT), American Music Therapy Association, Committee of burn and rehabilitation medicine of Chinese Association of Rehabilitation Medicine, Committee of Chongqing Children Rehabilitation Medicine. Music Therapist of China, The National secondary qualification of psychological counseling, WMECC hypnotherapist, IHNMA hypnotherapist. Since 2009, She have started to learn music therapy from Professor Tian Gao in China. She studied music therapy at Augsburg college and university of Minnesota in USA from 2012 to 2014. She is committed to the application and research of music therapy in clinical field including burn, Obstetrics and Gynecology, leukemia, cancer and Alzheimer’s disease. She is focusing on the effect of music therapy on pain. She have had some publications on the research of music therapy and pain management. BIO: Dr. John Mahoney, BA, MM, MA, PhD, MT-BC, LCAT, began his career as a music therapist after music studies at the Hartt College of Music and the Manhattan School of Music, He pursued music therapy studies at New York University and Temple University and with advanced training in Nordoff Robbins and Analytic Music Therapy. Professional musical background includes work with Barbara Streisand, Stephen Sondheim, Paul Simon, and Billy Joel. He is currently the Music Therapy Director at SUNY New Paltz, and co-founding Director of Westchester Creative Arts Therapy Services. Dr. Mahoney’s perspective on improvisational music therapy is both experientially grounded and practically oriented. 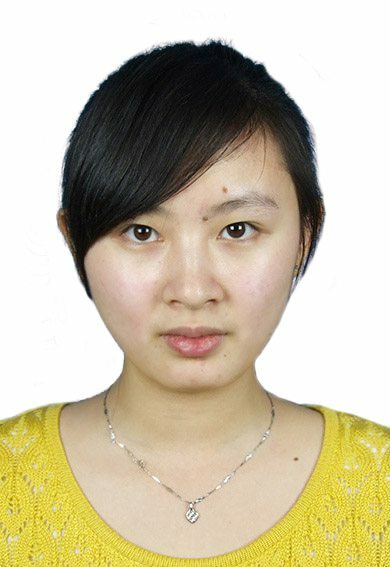 Bio: Lin Liu is a music therapy year 3 student at the Central Conservatory of Music, China. Clinical practicum at the Department of Beurological Rehabilitation of Xuan Wu Hospital in Beijing in 2014. IClinical practicum at the Department of Geriatrics, Yi Shou Xuan Nursing Home and at the Department of Psychiatry of Ping An Hospital in 2015. Since March 2016: Clinical practicum at the Department of Neurological Rehabilitation and the Department of Geriatrics, Xuan Wu Hospital, Beijing. 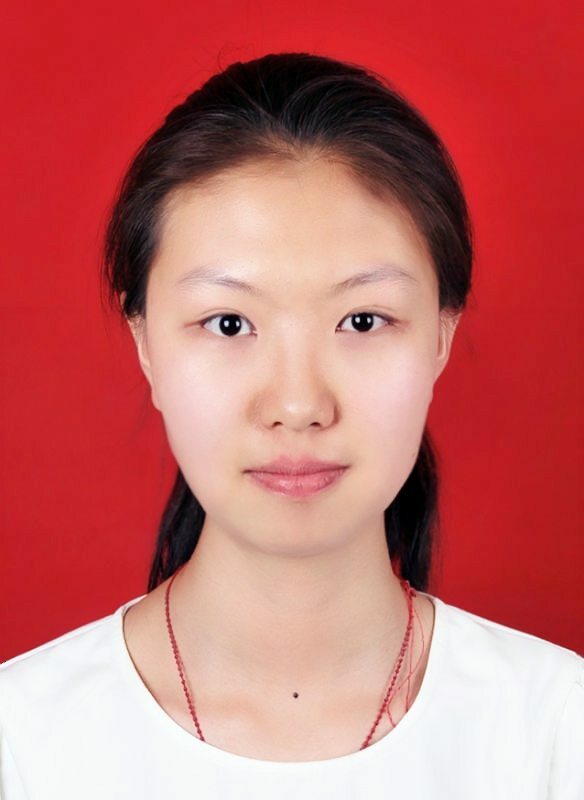 Bio: Joanne/Lau Lee Bin is a Music Therapy Year 4 Student, Central Conservatory of Music, China. From September to December 2013: Clinical practicum at the Department of Feriatric, Xuan Wu Hospital, Beijing. From March to June, 2014: Clinical practicum at the International Children’s Hostipal, Beijing. From September to Decemner, 2014: Clinical practicum at the Department of Psychiatry, Ping An Hospital. From March to June 2015: Clinical practicum at the Psychiatric Rehabilitation, Tao Ran Ting Community. From September to December, 2015: Clinical practicum at the Department of Neurological Rehabilitation, Xuan Wu Hospital, Beijing. From March 2016 until now: Clinical practicum at the Domio Music Centre for Austism. Bio: Lo-Ting Chen, MS., RMT, is Lecturer in Music at the Central Conservatory of Music, China, Music Therapy Program since 2011. She was appointed to as the music therapy supervisor of the Chinese Society of Music Therapy and Chinese Professional Music Therapist Association. She is also member of Music Therapy Association of Taiwan. 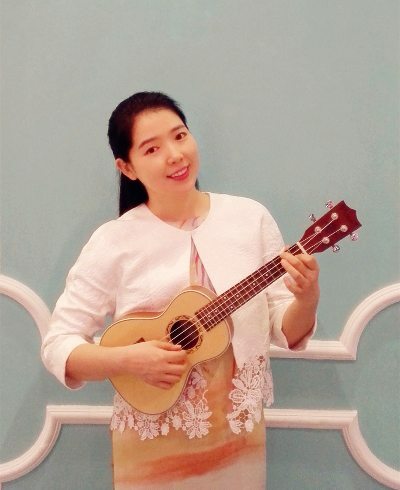 Bio: Lujie Wang is an instructor in department of music therapy in Sichuan conservatory of music and the founder of Yueling Music Therapy Service Center. She maintained an active interest in promotion and development of music therapy. 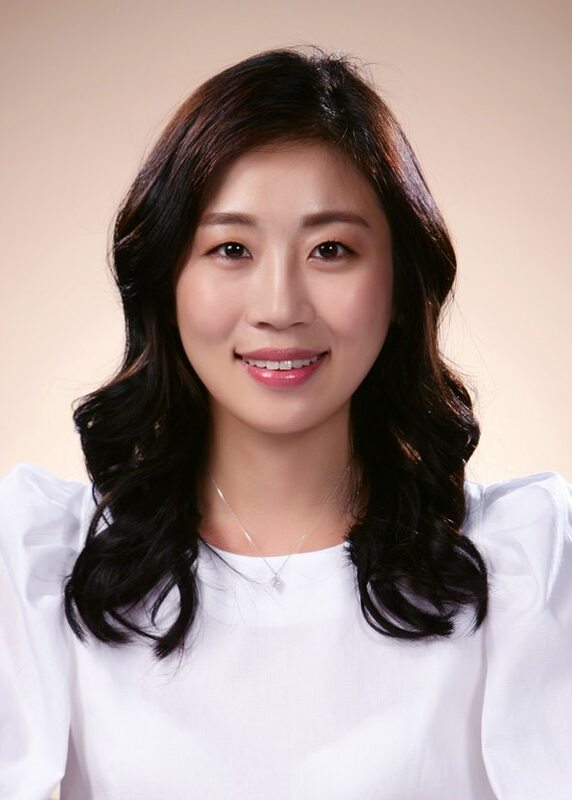 As the founder and leader of Yueling Music Therapy Service Center, she developed long-term and in-depth cooperation with government, hospitals and special schools, also established music therapy programs in those sites. Lujie’s music therapy programs were awarded several times by the government because of the high quality services and positive social influences. BIO: In 1994 Lyz recovered from a life-limiting illness using therapeutic sound. Following this ‘eureka moment’ she began researching and developing techniques, dovetailing ancient and modern methods and formalising a sound therapy method which was approved by the Institute for Complementary and Natural Medicine (ICNM) in 1999. Since then, Lyz has worked closely with the ICNM as a consultant and member of the ‘sound division’ helping to set standards for sound therapy in the UK. In 2000 Lyz founded The British Academy of Sound Therapy (BAST) – one of the first training establishments worldwide to offer a recognised qualification in sound therapy. 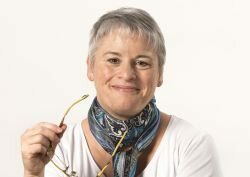 Lyz is co-founder of the Therapeutic Sound Association, an international association that aims to raise awareness of the importance of therapeutic sound, and is a member of the Health Board of the Global Listening Centre – a worldwide organisation formed to promote the importance of listening. In 2011 Lyz was awarded a fellowship from the ICNM for her ‘outstanding contribution to the sound therapy field worldwide’. From 2014 – 2015 Lyz spent time on the ICNM board of trustees, introducing a membership enrichment programme and continuing professional development. She is author of two books, ‘Sounding the Mind of God’ (O Books, 2005) and ‘What is Sound Healing’ (Watkins, 2016). She composes therapeutic music and has released several albums. Her work has received awards over the years including being voted no 11 out of 50 in Time Magazine’s ‘Top 50 Best Inventions Awards’ for a collaboration that has been called the ‘Most Relaxing Track Ever’ by the media. She has an MA in Education and an MSc in Applied Music Psychology and her latest research explores the use of sound applied in specific techniques to induce an Altered State of Consciousness. Lyz’s work aims to show that regular sound induced altered state therapy can improve health and wellbeing as well as improve sociability, confidence and foster a greater appreciation of the arts and humanity. Lyz aims to integrate her work into mainstream healthcare, education and the corporate setting. BIO: Dr. Maria Montserrat Gimeno is an Associate Professor in the Music Therapy Program at the State University of New York at New Paltz. She was born in Barcelona, Spain, where she worked as a nurse for several years. Dr. Gimeno came to the U.S. in 1993. She then completed a Bachelor’s Degree in Music Therapy at Willamette University in Oregon, a Master’s Degree of Art and Doctorate in Counseling Psychology from the University of the Pacific in California. Dr. Gimeno is a Licensed Creative Art Therapist (LCAT) a Board Certified Music Therapist (MT-BC) and a Fellow of the Association for Music and Imagery. Dr. Gimeno is well respected nationally and internationally for her research on the use of Music and Imagery in medical settings. Recently, she completed a research study on the use of “Music Imagery Relaxation (MIR)” a technique that she developed to use with bedridden patients. The study has recently been published at the Journal of Pharma and Bio Science. Dr. Gimeno has taught courses and presented Nationally and Internationally in the USA, Spain, Norway, China, South Korea, Finland, Canada, Austria and India. BIO: Min-Min Cheung is a music therapist at the Raukatauri Music Therapy Centre in Auckland, New Zealand. She holds a Masters in Music Therapy from New York University and Bachelors in Psychology from the University of Auckland. Min-Min is also Nordoff-Robbins certified. She trained at the Nordoff-Robbins Center in New York and is currently one of the only two Nordoff-Robbins certified therapists in New Zealand. Throughout her training she has worked with various populations in different settings, but her enthusiasm and population of specialization is in children with developmental disabilities and autism. She strongly believes that music therapy can make a big impact and vastly improves the quality of life for the children, while at the same time allowing the parents/caregivers to see a different side of their child. Being born and raised in New Zealand, she returned to her home last year after her studies and is now eager to bring the knowledge of music therapy from the rest of the world to New Zealand and likewise share what New Zealand has to offer. 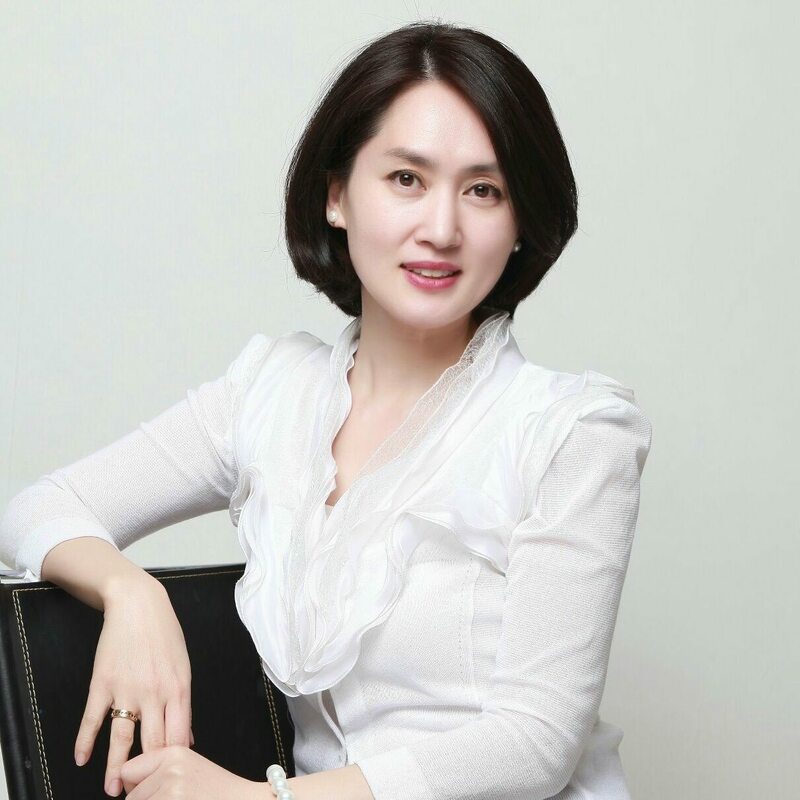 Bio: Ni Zeng was graduated from China Conservatory with MusicMaster Degree in 2011 and she has rich experience in music therapy, developmental and educational psychology. Since 2012, Ni Zeng is responsible for the group music therapy in Beijing School for the Blind. As the member of the Professional Training Group for Visually Impaired Education Rehabilitation, she mainly studies application of music therapy of Perkins School for the Blind. Bio: NIE Qiaole is the founder of Yuedi, music therapist, national second-class therapist, International Holistic and Natural Medicine Association (IHNMA) certified hypnotherapist, and China Employment Training Technical Instruction Center (CETTIC) certified doula. Mrs. NIE previously worked at Mary’s Hospital (Women & Infants) in Beijing, responsible for antenatal training program and promotion of music forlabor analgesia program. She is the author of The Interactive and Experiential Antenatal Training Methods, One Page of Antenatal Training a Day, Antenatal Training Gala, and Bedtime Stories for Antenatal Training. Mrs. NIE has been invited by scores of hospitals in dozens of cities for instructing over 10,000 expectant mothers in antenatal training and birth giving to the music. Her antenatal training and music for labor analgesia program now has been accepted by several hospitals. 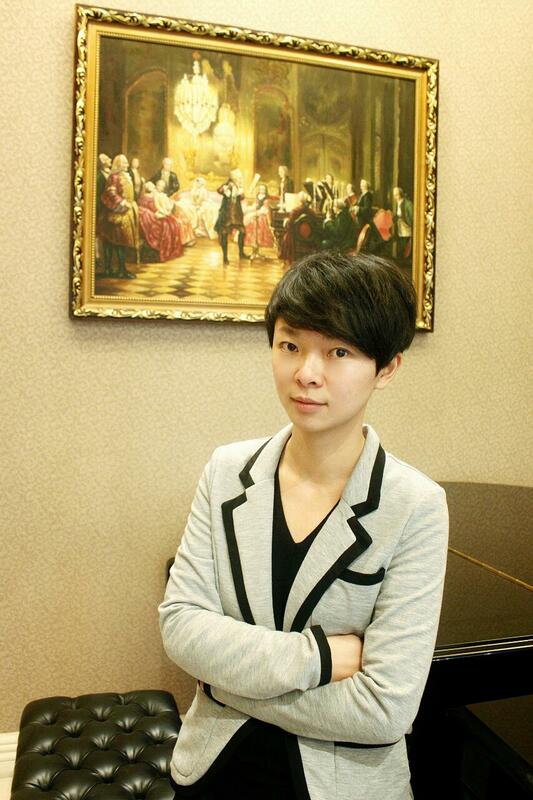 BIO: Ms Qian Li is Director of the Music Therapy Center at Wuxi Mental Health Center. She establish the Centre’s pioneer music therapy program, develop and implement other music therapy programs and activities to improve patients’ physical and mental health. Qian received her bachelor’s in music therapy from Central Conservatory of Music, and her master’s in music therapy from The University of Melbourne. Early in her career, she worked with various population, including Children with Autism, ID、ADHD、Developmental Delay, adolescents, Adults with mental disabilities, psychological disabilities、various neurological diseases and Dementia. 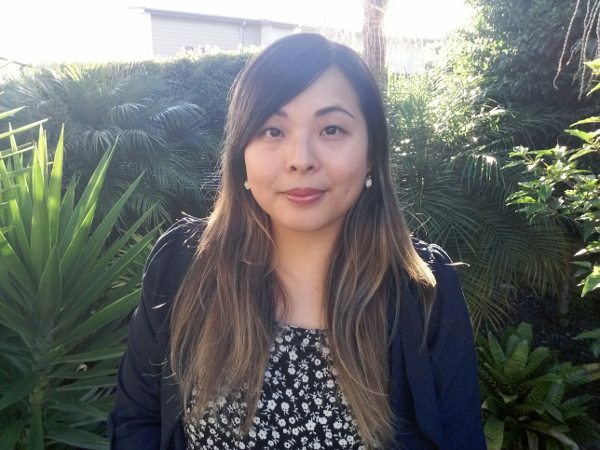 Qian is an Australian registered music therapist (RMT) and currently supervise national and international music therapy students in her facilities. BIO: Yoon Kyung Chung, M.Ed., KCMT, received Master’s degree at Ewha Womans University. 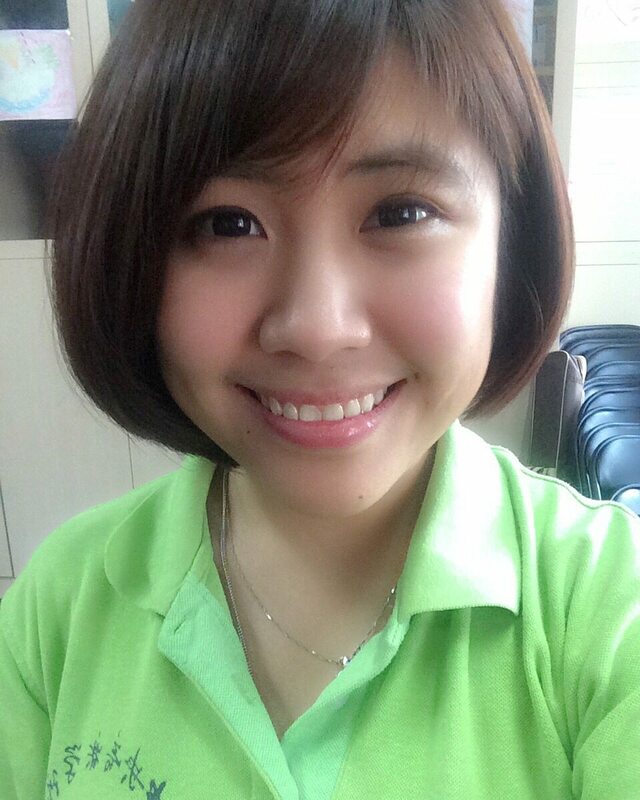 She is currently a full-time music therapist at Soree Ear Clinic, located at Seoul, Korea. Also, she is a professional member of Korean Music Therapy Association. 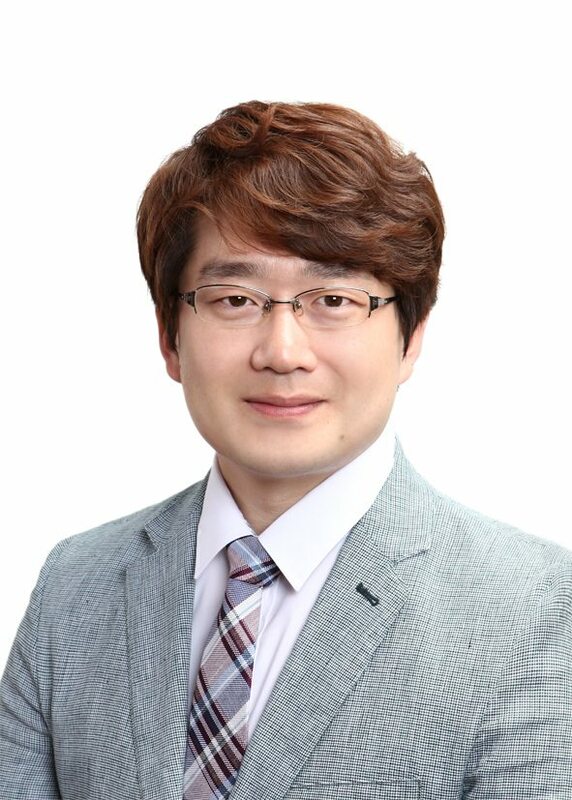 Dr. Soo Ji Kim is an associate professor and the program head of the music therapy education major in the graduate school of education at Ewha Womans University. She is also affiliated to the department of music therapy in graduate school and a director of arts education therapy institute at Ewha Womans University. Kim received her Ph.D from the University of Kansas, U.S.A. Currently, she is a vice president of the National Association of Korean Music Therapists and a chief editor of Journal of Music and Human Behaviour. Her research interest is music in medical settings focused on rehabilitation and aging. peer-reviewed international Journals and Conferences. Bio: Dr. Joe Schlesinger is an Assistant Professor in the Department of Anesthesiology Division of Critical Care at Vanderbilt. His research interests to include human factors engineering, aural perception, temporal precision, alarm development, and patient monitoring. This work led to receipt of the Society of Critical Care Medicine Education Specialty Award. 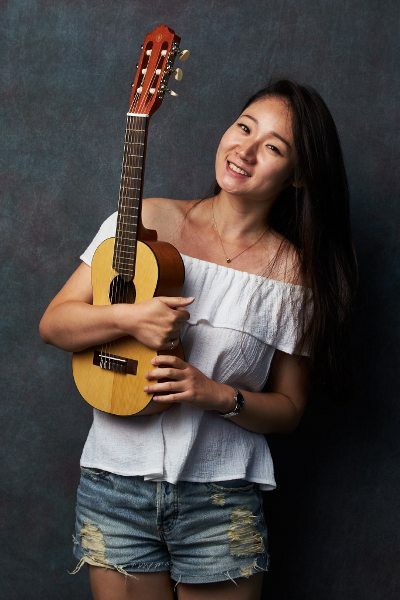 Bio: Shu Wang, current music therapy graduate student in New York University and field work student in Mont Saini Beth Israel music therapy department in New York, United State. 2014, she worked as a field work student in Sloan Kettering Cancer Center (MKCC), the biggest cancer hospital in US. 2012-2014, she finished two years of music therapy graduate program in Montclair State University, study under Dr. Brain Abram and other professors. 2012-Current, Shu has been working with in setting, include hospital, nursing home, special education school in New York and New Jersey. children with special needs (Autism, developmental delay, ADHD), older adult, palliative care for all age patient, and hospitalized patient in diverse diagnoses and age range. BIO: Wai Man NG is a Registered Music Therapist and GIM Therapist in Hong Kong. He graduated from the Hong Kong Academy for Performing Arts, majoring in Chinese Music. Afterwards, he received formal music therapy training from the University of Roehampton (UK) and Anglia Ruskin University (UK). Mr. Ng was the chairman of the Hong Kong Music Therapy Association. He established the Professional Music Therapy Centre (PMTC) in Hong Kong in 2007. He is now the director and principal music therapist in the PMTC, and Adjunct Assistant Professor and Clinical Supervisor for the local and overseas universities (HKAPA, CUHK, HKBU, and HKU SPACE). Mr. Ng is currently undertaking the PhD study at the University of Melbourne focusing on The Application of Chinese Music and Chinese Philosophy in Guided Imagery and Music supervised by Prof. Denise Grocke. 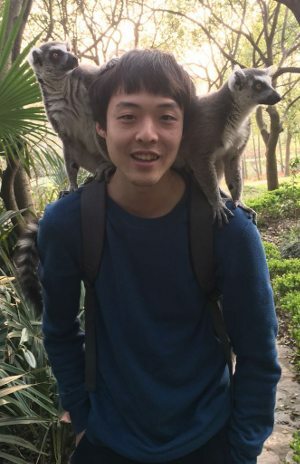 Bio: Xinling Wang is a senior merit student studying music therapy at the Music School of Minzu University of China in Beijing (excellent league cadre of school level). She has won national scholarships for two consecutive years and the first-class scholarship of university level and was recommended for admission to be a postgraduate in 2015. She participated in organizing musical integration activity for University students and the population with special needs. Bio: National secondary psychological consultant (certificate number 0611000008200566), music therapists, a member of International Association for Music and Medicine, a member of Music Therapists Association, special guest for Zhejiang FM96.8,107 private car radio. Taking up the occupation since 2006, I have obtained abundant individual and group counseling experience: made psychological decompression for middle-level and high-level staff of a number of large and medium-sized enterprises; cooperated with City Express music and other media psychological workshops; set up various forms of music counseling courses for prison guards, students, civil servants, white-collar workers, prisoners; held classes for junior and senior high school to release pressure; held numerous drum circle activities for adults, family members and youths. Bio: Yoshitaka Wada holds a Master in Music Theapy (MMT) from University of Pompeu Fabra in Barcelona (Spain). He has trained at the Louis Armstrong Center for Music and Medicine at Mount Sinai Beth Israel in New York (USA) as an assistant research scholar. He currently resides in Japan, working as the manager and music therapist at Rakuwakai Kyoto Music Therapy Research Center. Bio: YUN WEN is a registered music therapist with Guangzhou Children’s Palace and the First Affiliated Hospital of Sun YatFsen University. She received her bachelor and master degree of music therapy in Central Conservatory of Music, China and the University of Melbourne, Australia, respectively. She also completed the Level 1 & 2 GIM Certificate course with Music and Imagery Association of Australia. She completed a governmentFfunded research project called Home%based Preferred Music Listening Project for elderly Chinese immigrants in Australia in 2015. This project was presented in Australian Music Therapy Association Conference 2013 and was awarded the Best Poster Presentation. She has coFauthored an article of the project, which was published in the Australian Journal of Music Therapy. She is also the coFauthored of the chapter: Music Therapy at the End of Life in Music Therapy Handbook. She has given presentation in a few international conferences and workshops regarding the application of music therapy for people with diverse cultural. Her interest is to explore the adaptation of music therapy in a multicultural context and diverse age groups, which are important to the effective therapy. 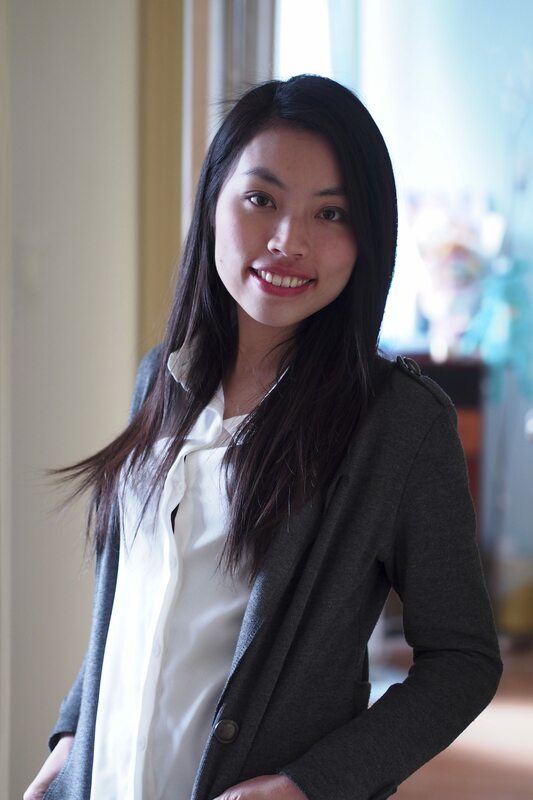 Bio: TINGTIN ZHANG is a Senior registered nurse and NurseSupervisor. She graduated from School of Nursing, Sun Yat6sen University in July 1988. 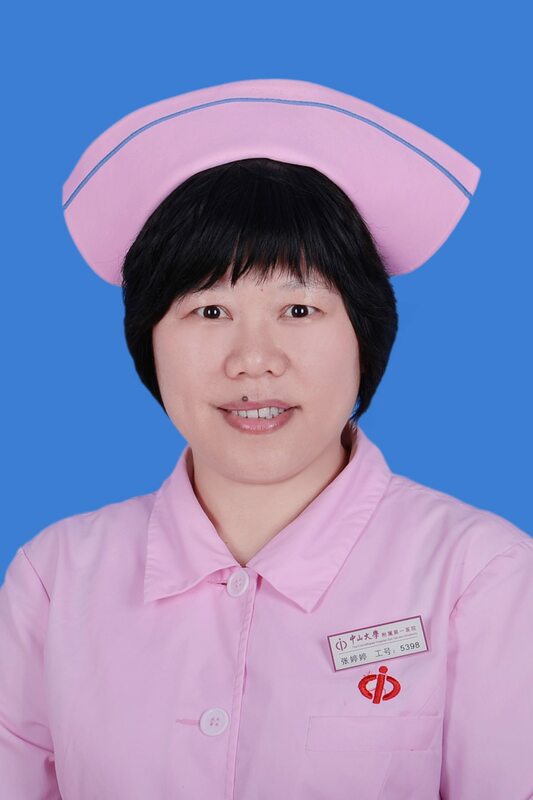 She worked as a pediatric nurse in Department of Pediatrics, The First Affiliated Hospital of Sun Yat6senUniversity from July 1988 to December 1999. 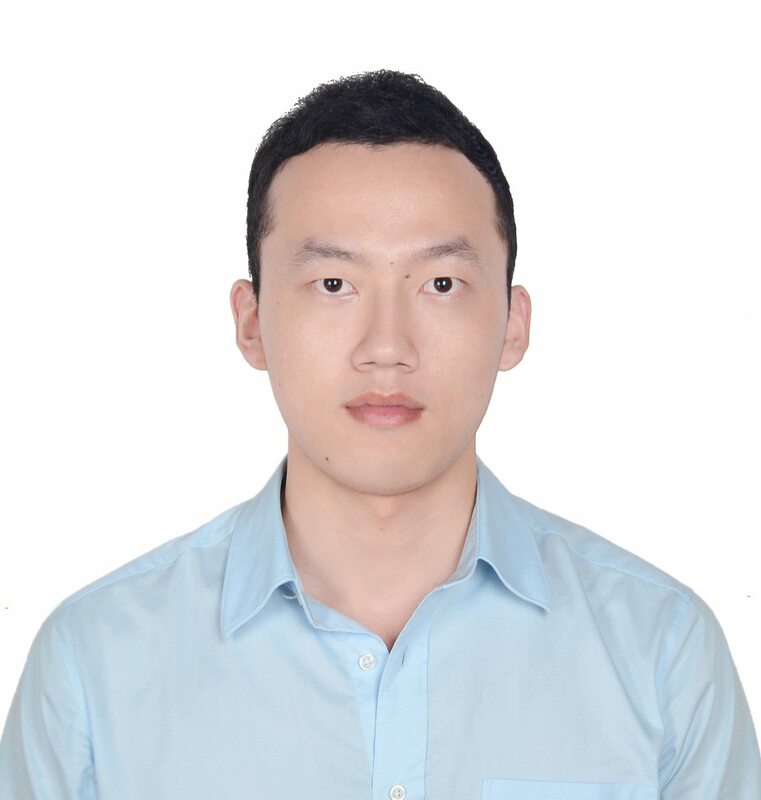 Bio: YAN-LAI TANG is a resident doctor worked in the First Affiliated Hospital of Sun University from 2015. He received his master degree of Pediatrics in the Sun Yat$sen University. He devotes himself to the treatment of childhood leukemia and the quality of life during chemotherapy. He has given some presentations in a few international conferences and published several SCI papers about the treatments for leukemia. Bio: JEE HYO LIM received her master’s degree at Ewha Womans University. She is certified music therapist at Ewha music wellness center. Her research interest is music in psychiatric settings. Also, she is a professional member of Korean Music Therapy Association. 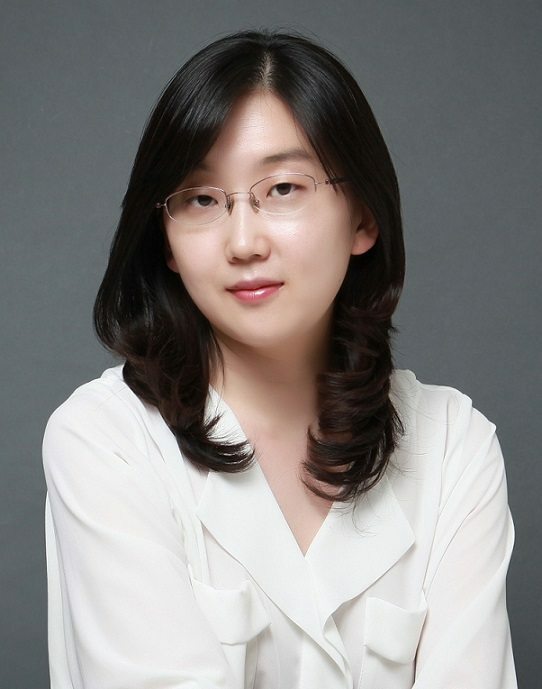 KYUNG MYN LEE is an Assistant Professor of Music at Korea Advanced Institute of Science and Technology, South Korea. She received her Ph. D. in music cognition (certificate in cognitive Science) from Northwestern University, USA. She is also a president of Korean Society for Music Perception and Cognition and a vice president of Asia-pacific Society for Cognitive Sciences of Music. Her areas of research include cognitive neuroscience of music, auditory memory and attention, experience-dependent brain plasticity, brainstem & cortical auditory evoked potentials. 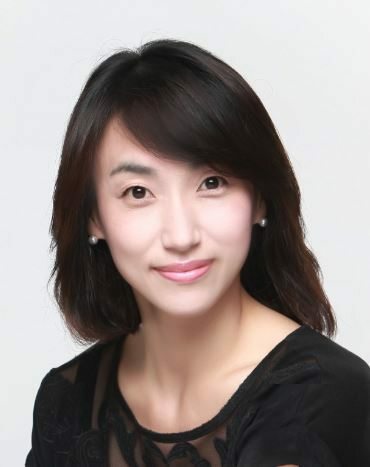 Bio: Juri Yun is a certified music therapist in Germany (DMtG) and Korea (KCMT). Ms. Yun received Diplom from Music Therapy Institute Berlin in Germany and completed doctoral coursework in Music Therapy from Ewha Womans University. 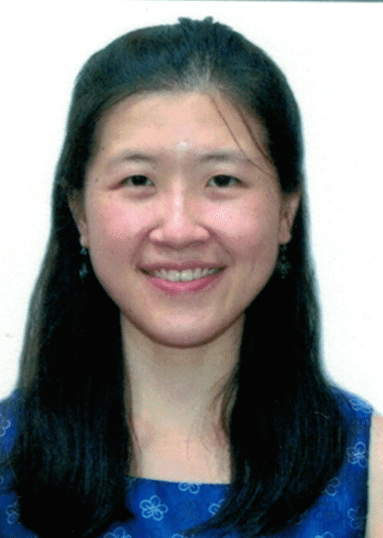 Ms. Yun currently serves as the clinical supervisor and researcher at the Ewha Womans University. Bio: Drs. 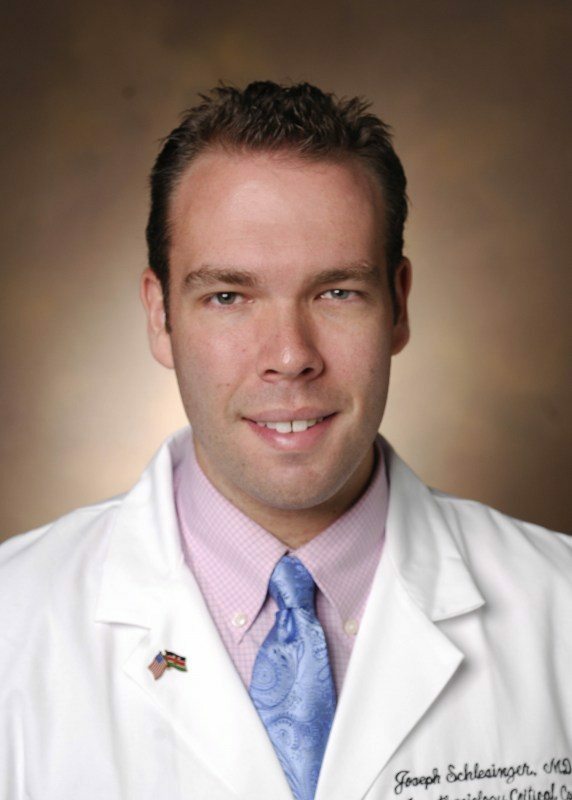 AYR Kühlmann, MD, is working in the Erasmus Medical Center, Rotterdam, The Netherlands. She is a PhD-student doing research in the possible applications of music and music medicine in healthcare facilities. 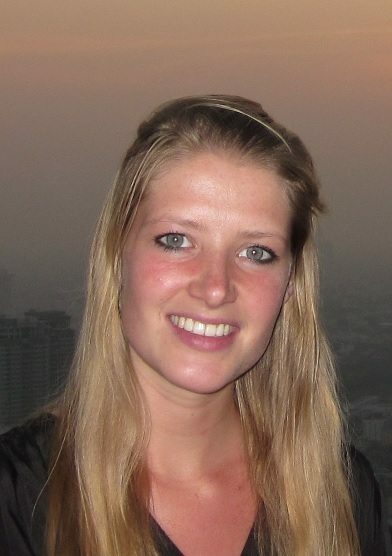 Currently, she is investigating the effects of music on anxiety and pain in very young infants undergoing surgery. Bio: Yi Soo Yon is Ph. D. candidate at the Music Therapy Department at Ewha Womans University and Korean Certified Music Therapist (KCMT). She works at the rehabilitation center for children with intellectual disability. She is working on music and language and focuses on prosody and melodic contour. children suffering from Autism, AD, developmental delay and patients suffering from dementia.